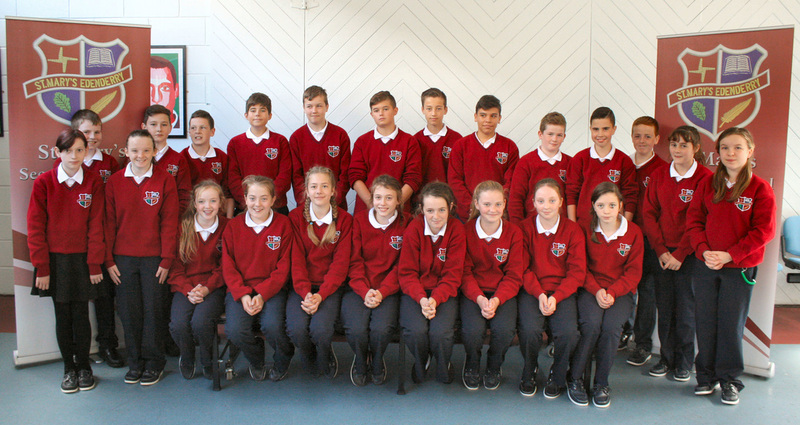 ﻿St Mary’s Secondary School is a large co-educational, voluntary secondary school serving the communities in and around Edenderry. 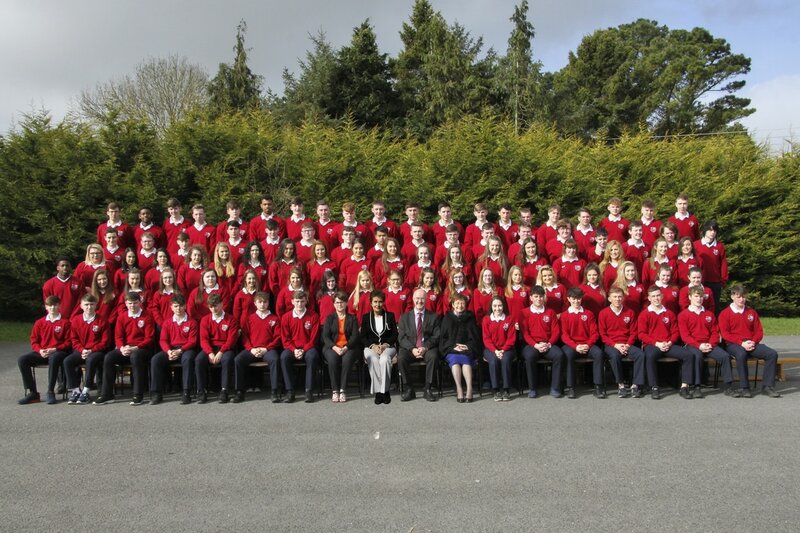 We have over 780 students following the Junior Cert, Transition Year, Leaving Cert and Leaving Cert Applied courses. In St Mary’s we seek to pursue excellence in everything we do. We encourage all of our students to set high expectations and to bring a positive approach to their learning. St Mary's is implementing change and improvements all of the time. Our school has advanced in numerous ways in recent years. We hope that our website can keep up with all of the changes on the ground. You are welcome to explore our site. St Mary's Secondary School successfully completed a Whole School Evaluation undertaken by the Inspectorate of the Department of Education and Skills. Three inspectors visited the school in April 2017 and met with teachers, management, students and parents . 30 classrooms were visited and over four hundred students and parents were surveyed. The report of the evaluation was published on June 22nd and is available on the Department's website and on the school's website. It may also be accessed by clicking on link below. 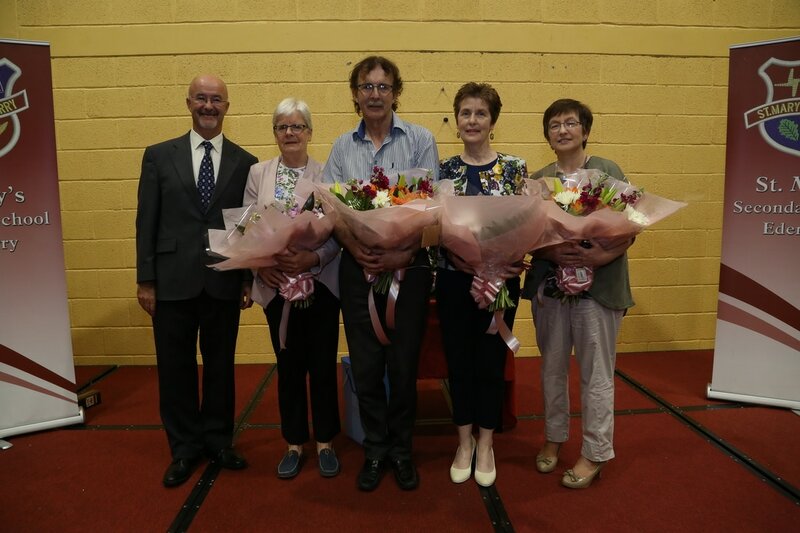 ​The community of St Mary' s gathered on Friday, June 2nd to mark the retirement of four of our most distinguished teachers including our Deputy Principal, Margaret O'Kelly. Celebrating alongside Margaret were Mary Connolly, Henry Gunning and Anne Barry. All legends in the school and each with close to 40 years of service in St Mary's.. Earlier in the week our students gathered in the Sports Hall to see presentations from the Parents' Association and to hear reminiscences by each of these great teachers. Current students and those over many past years are indebted to Margaret, Anne,, Mary and Henry for their magnificent work. We all wish them well for the years ahead. 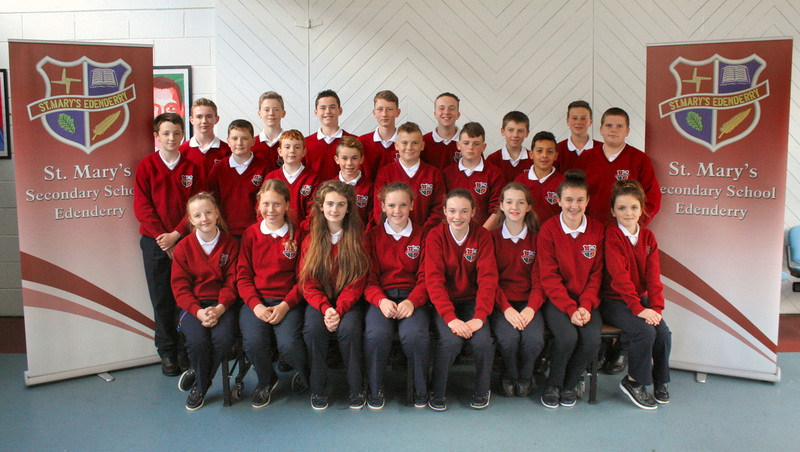 The management and staff of St. Mary's would like to wish the class of 2017 all the best in their exams and all the best for the future. ​We celebrated a great occasion in the school today. Kathleen, our school secretary, retired today after 39 year in the job! It is truly an extraordinary achievement. Kathleen has been a very loyal and dedicated secretary to Sr Camilus, Mrs O'Neill and Mr Halford. She has served our students and their parents with diligence and dedication for many, many years. Every one of us can recall occasions when she gave support and help. Many of Kathleen's current and former colleagues gathered at lunchtime today. We later gathered all of our 3rd years and senior students in the GP room. Songs from Mr McEvoy and Ben and Ian Cully added atmosphere to the presentations from the Prefects, Student Council and Parents' Association. All great fun after a challenging week of Whole School Evaluation! So congratulations and best wishes to Kathleen on her deserved retirement. Congratulations to our music students, Majella Coyne, Jessica Corcoran and Ben and Ian Cully who have just won the Radio3 Undercover Band Competition. The competition was for all second level schools in the midlands with the aim of promoting live music. The students performed their own version of Sorry by Justin Bieber and were declared winners live on the radio yesterday 3rd April. The students who play under the name Spectrum have won a day's recording in the world famous recording studio Grouse Lodge where Michael Jackson recorded his last songs. 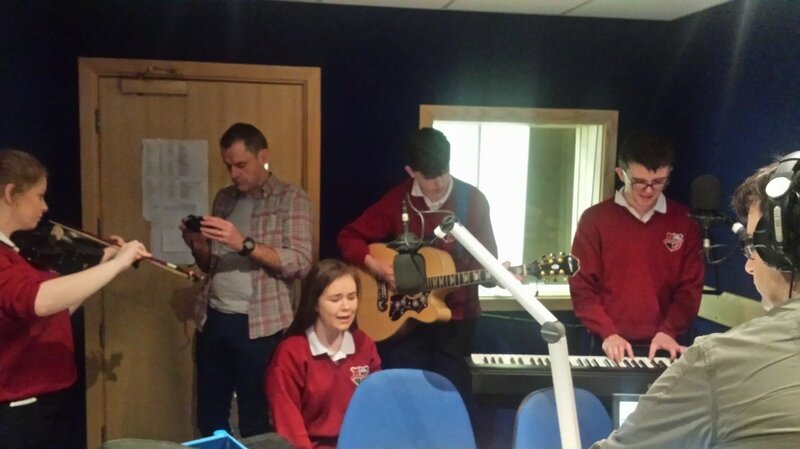 They will also be playing at the Teen-Aware Concert in Kilbeggan on Good Friday. This is the second time St. Mary's has won the competition having won it the first year it was held. Well done to all involved and we look forward to seeing you in Croke Park in the near future!! 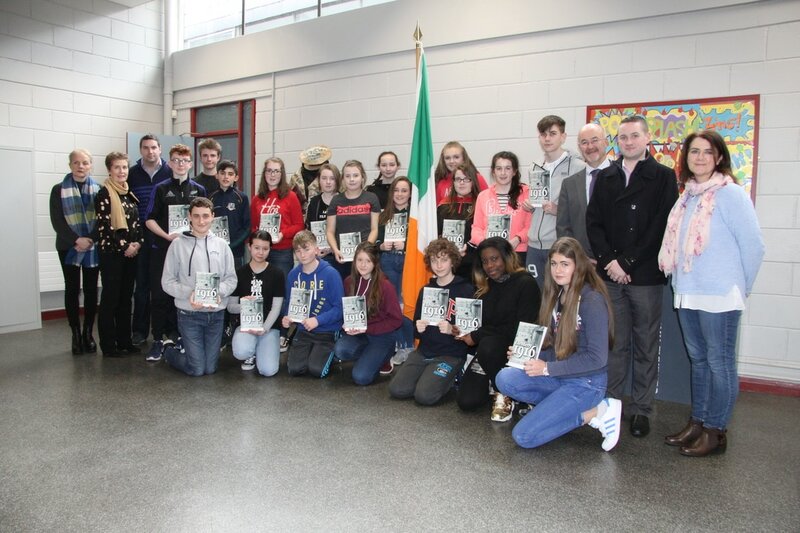 All in St. Mary's were delighted to welcome back past pupil Dr. Ciaran O'Reilly to the school when he presented the school with a number of copies of his most recent book - Edenderry 1916 and the revolution era thanks to the generous sponsorship from Rationel Windows. David Farrell also visited the school on behalf of Rationel Windows. All in St. Mary's would like to thank Ciaran for visiting and thank him and David for presenting the books to the school. 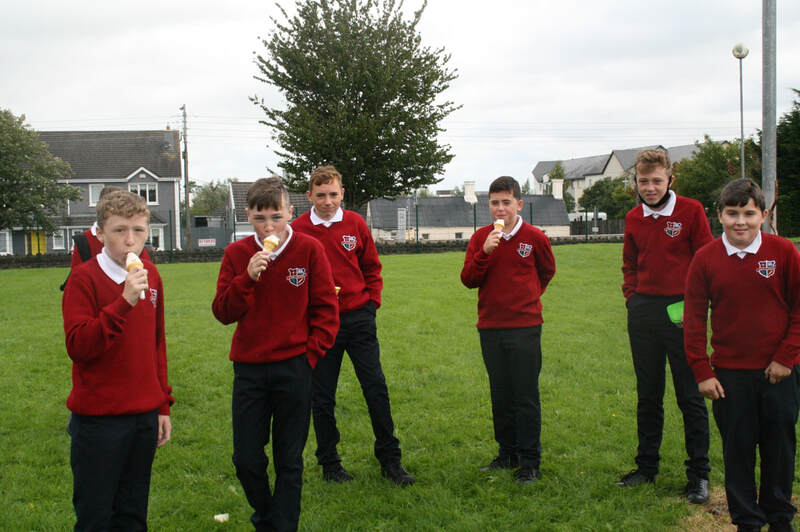 ​Four of our fifth year students , Ben Cully , Ian Cully, Majella Coyne and Jessica Corcoran under the guidance of Ms.McEntee have submitted their entry for Undercover 2017. The com[petition run by midlands 103 strives to find the best of talent secondary students have to offer. The prize is a day of recording in the prestigious Grouse Lodge Recording Studio. The St.Mary's Group entered this years competition with their spin on Justin Bieber's Sorry. The cover will be aired on the Carl James Show over the coming days with their video appearing online on Midlands 103 facebook page. Best of luck to St.Mary's! . The school gymnasium was thronged with the scientists of the future yesterday for the Scifest competition. After many months of experimentation and preparation the students displayed their science projects to the school and judging of the projects took place. Group 2 - Alex Mazur, Saoirse McNally, Caitlin O'Callaghan. Group 3 - Ashley Farrelley, Katie Rickard, Emily Lawton. Group 4 - Eoin Doherty, Graham Gorman, Cormac Kilkenny, Cathal Dunne. Congratulations to our U14 Boys footballers who retained their Leinster title yesterday by beating St. Kieran's College, Kilkenny in a repeat of last years' final. The lads showed great grit and determination to come from a deficit of 7 points at half time to win by 3 points. Playing against a gale force wind the boys weathered the storm for the first half and then took control of the game in the second half. With scores from Dan Leech (1-5), Oisin Milmoe (1-1) and Daniel Farrell (1pt) St. Mary's controlled the game in the second half and were deserving winners at the end. The team are the first team in over 40 years to retain the title. Well done to the team, mentors Mr. Costello and Mr. Holton and all the supporters who traveled to the final. 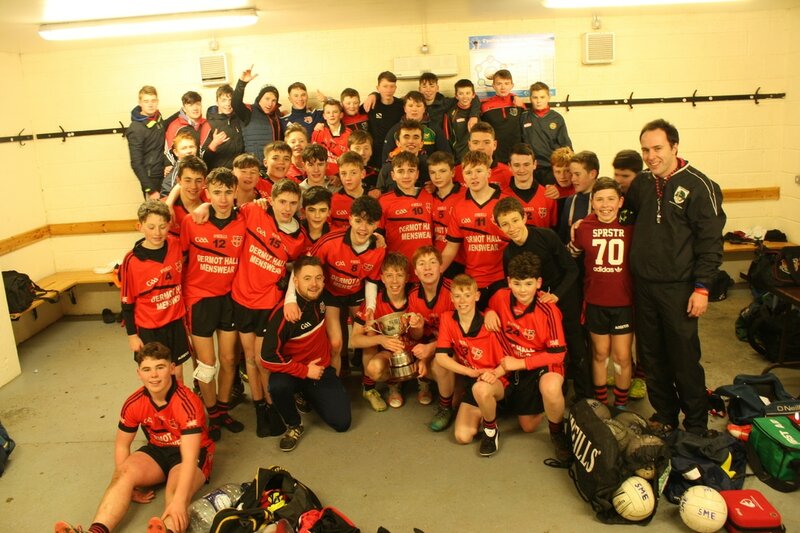 Congratulations to our U14 boys footballers who won the Leinster U14 semi-final yesterday, 18th January, by beating Colaiste Eanna by 2 points after extra time - 1:16 to 3-8. In what was a tense and exciting game the boys showed great heart and determination to win the game in extra time. They now go on to face St. Kieran's of Kilkenny in the Leinster Final - a repeat of last year's final. Congratulations to the boys and their mentors - Mr. Costello and Mr. Holton and best of luck in the final. Date and location to be announced. Well done to the school prefects who organised the annual Christmas festivities in the school gym. First up was the Students vs Teachers basketball match and, yet again, the teachers were victorious!! 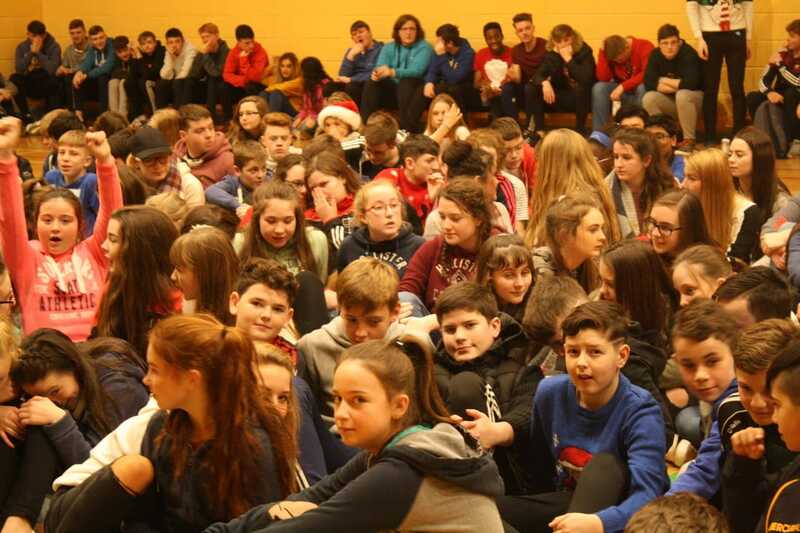 Next up was a Christmas concert featuring an array of talented singers and musiciains who had every one in the gym clapping and singing along to the festive tunes. 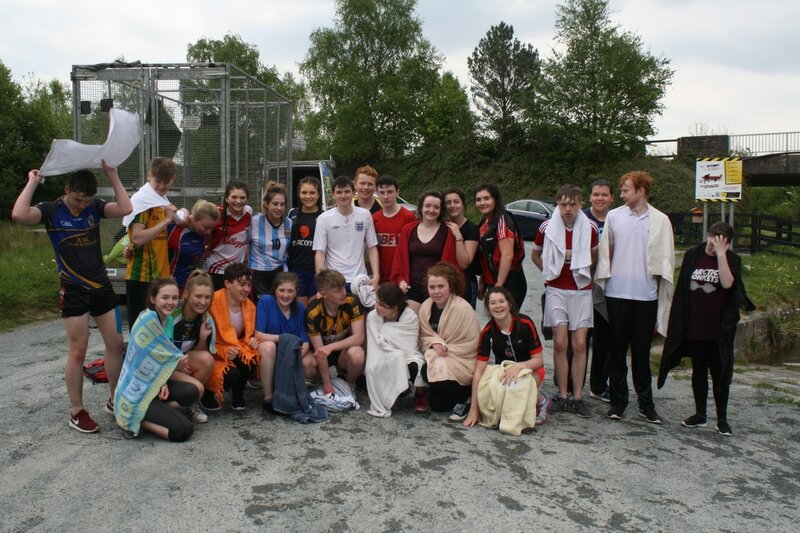 Well done to Ms McEntee, to all who took part and to the prefects who organised the event. Art Teacher Fiona Farrell wrote a celebratory piece in the Irish Independent Saturday Supplement (Dec 10th 2016). 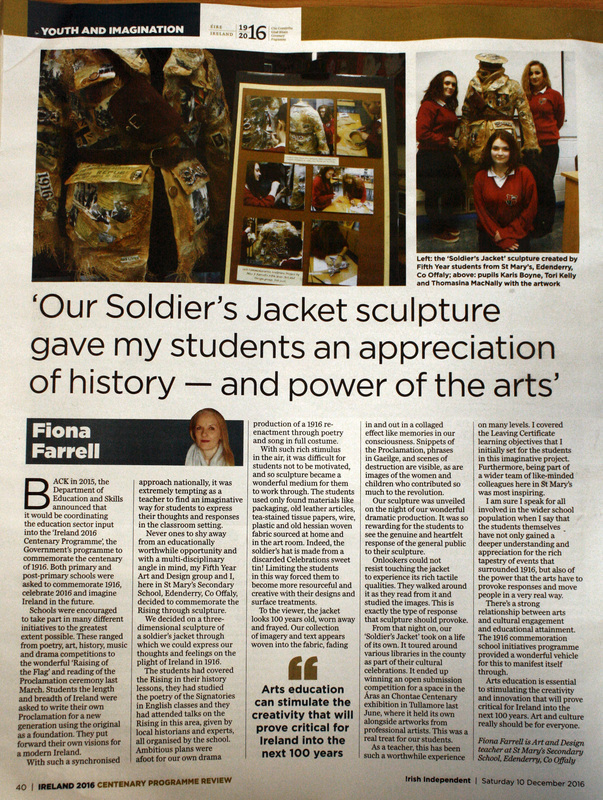 In a beautifully written piece, Ms Farrell brings readers through the rationale and process of the magnificent Soldiers Jacket, the centre piece of St Mary's Artistic commemoration of 1916. 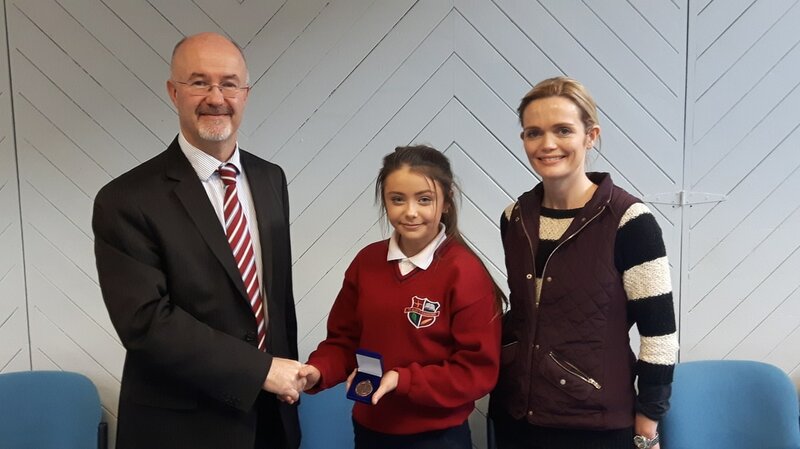 The Flag raising, proclamation writing competition, poetry competition, dramatic and musical commemorations and proclamation readings (in school and in Paris) were also key parts of St Mary's thoughtful and respectful reflection on events throughout Ireland 100 years ago. 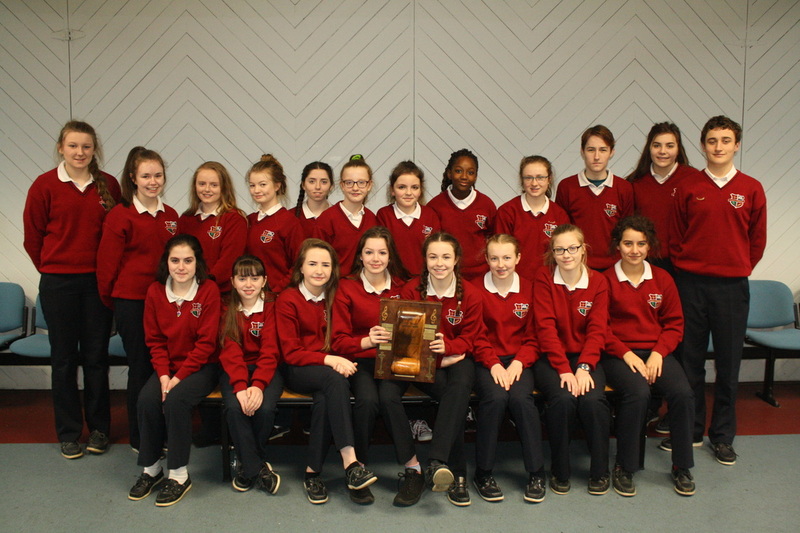 ​Congratulations to St. Mary's U19 Girls Basketball team who were crowned Midland Regional Champions last Tuesday 6th December. The girls showed great fight and determination to come back from a 19-9 defecit to beat Mountmellick C.S. 27-22 in a thrilling final in Portlaoise. 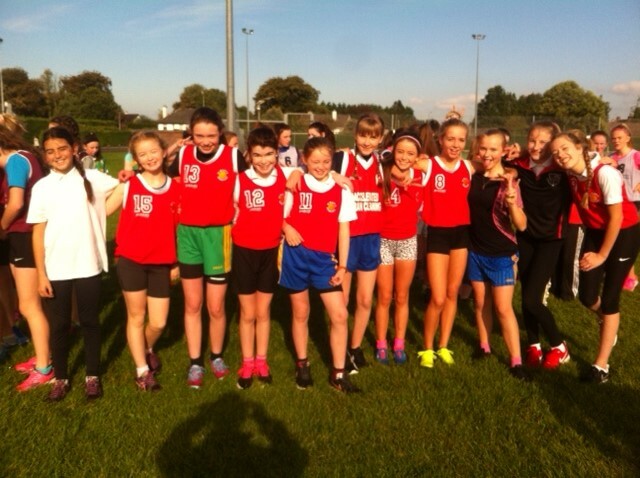 ​Congratulations and well done to the girls and to thier dedicated coach, Mr. McEvoy. 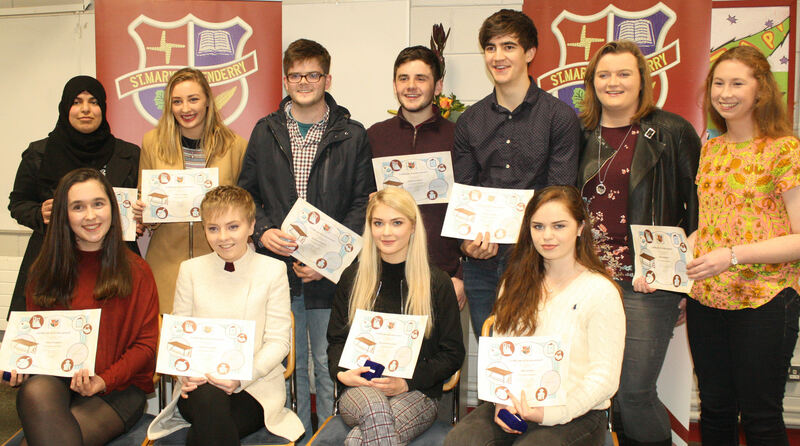 On Thursday evening 17th November a very special ceremony took place where we acknowledged the outstanding results of our students in the State Examinations of 2016. 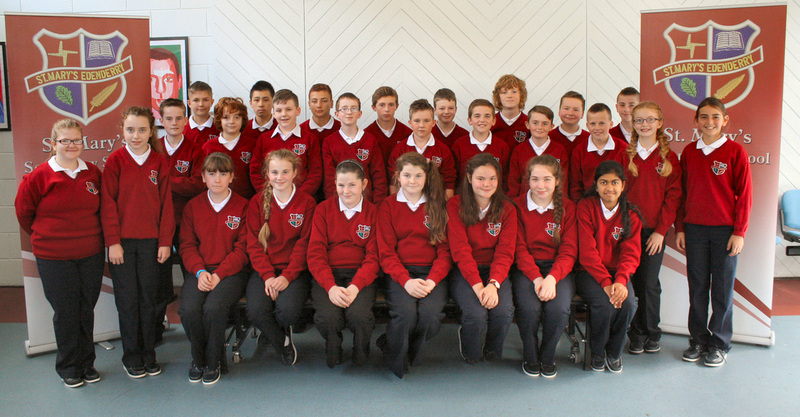 21 Junior Cert students, 11 L.C.A. 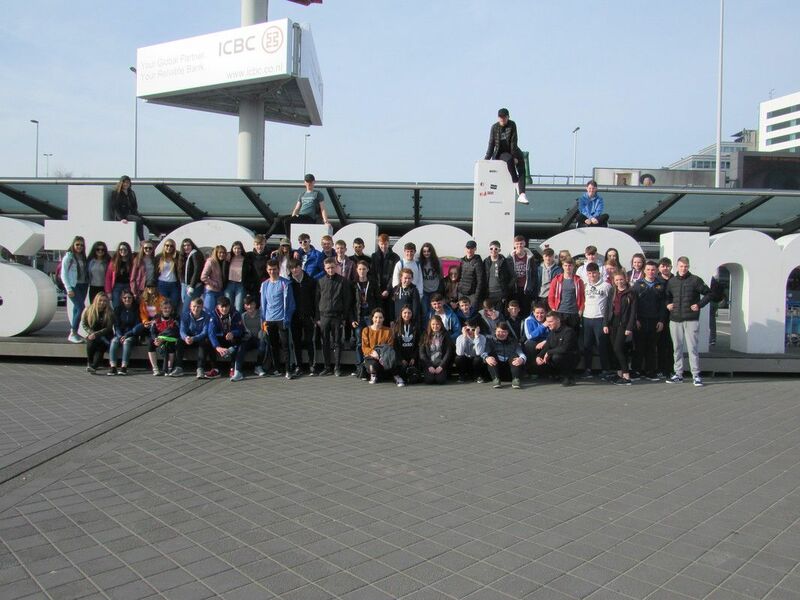 students and 15 Leaving Cert. 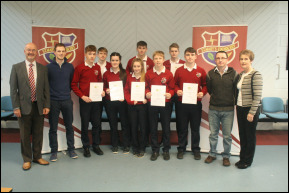 students received a specially commissioned medal and certificate to honour their superb achievement in the State Exams. 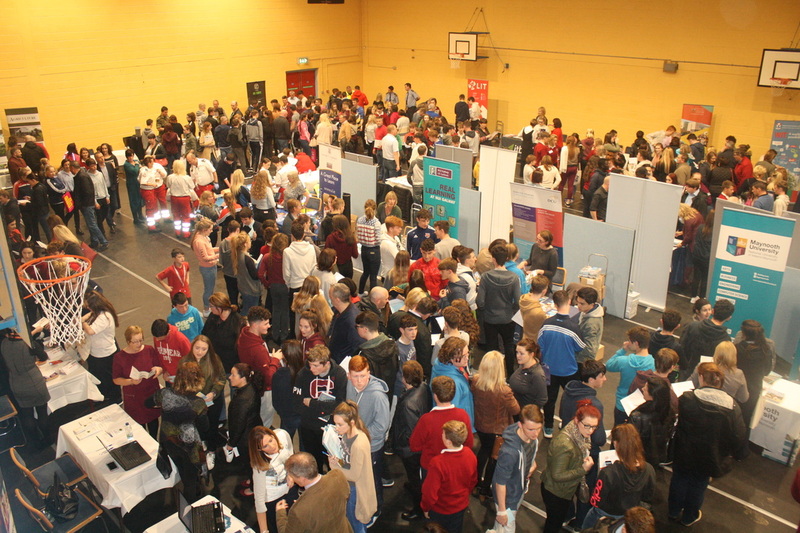 ​On Tuesday 18th October, St. Mary’s Secondary School and Oaklands Community College came together to host the ‘Edenderry Post-Primary Careers Fair’. All senior students along with parents attended the event. Both Oaklands College and St. Mary’s Secondary School made every effort to raise awareness about the educational and training opportunities available to their students throughout the country. There were 44 exhibitors including Higher Education Institutions, Colleges of Further Education and other agencies. Three information talks took place on the night, SUSI grant system, HEAR and DARE Access Programmes and a general talk about the transition to 3rd level/CAO system. 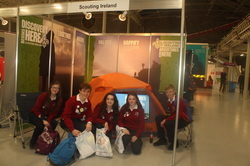 The winner of the Acer laptop on the night was Rebecca Kilmurray 5th Year LCA student from Oaklands Community College. 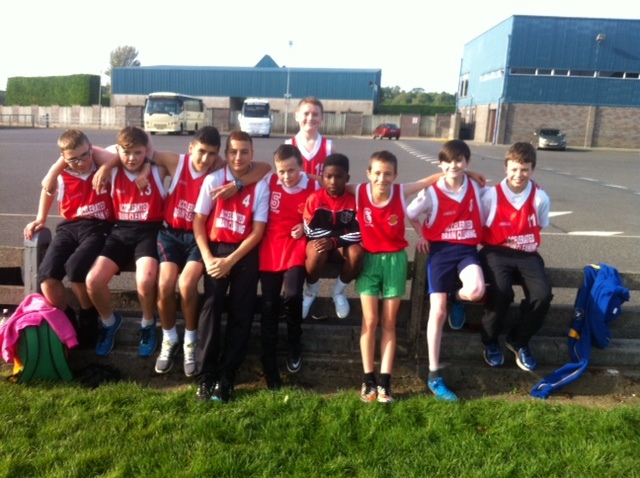 ​St.Mary’s entered twenty-one first year students into the 1st year schools’ cross-country race on Friday 7th October. The hard work and dedication that the students had shown in training certainly paid dividends as four of the SME girls finished in the top 15 and qualified for the Offaly 1st Year schools’ cross-country team. Lydia Buckley and Sian Corrigan ran a stellar race to claim their respective gold and silver medals. Sean Choudhury performed very well to finish in 13th place in a very fast boys 1500 metre race. The performances set a good base for winter training for the Leinster Championships in February. On Friday 7th October 4 residents from Cuan Mhuire Rehabilitation Centre visited St. Mary's to talk to 5th Year students. The visitors talked about their addictions to alcohol, drugs and gambling. They spoke frankly about their lives and their addictions, and although their stories were difficult to hear, the students found the speakers very informative and learned valuable life lessons. The students would like to sincerely thank the visitors for taking the time to visit and for being so open and honest talking about their lives. 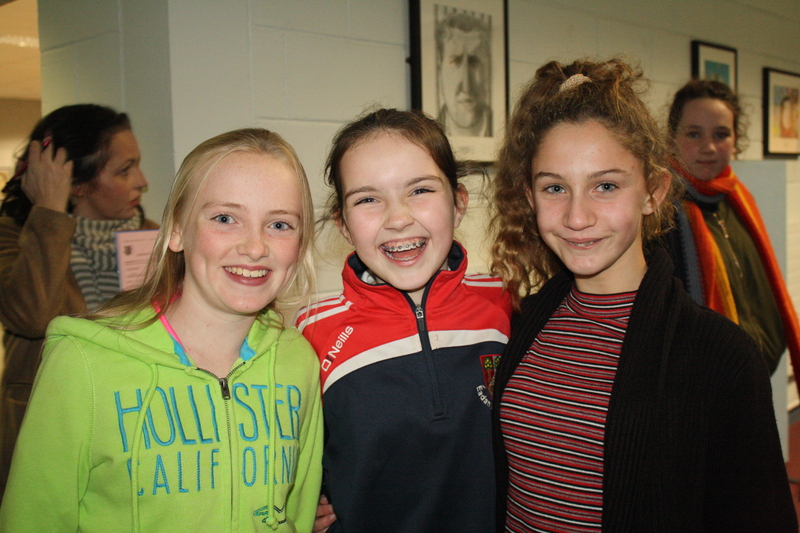 Congratulations to all our TY students who put on a wonderful display of work and entertainment in the sports hall last Monday night. With both parents and staff in attendance the students recounted the year's activities in TY and also were presented with various awards. 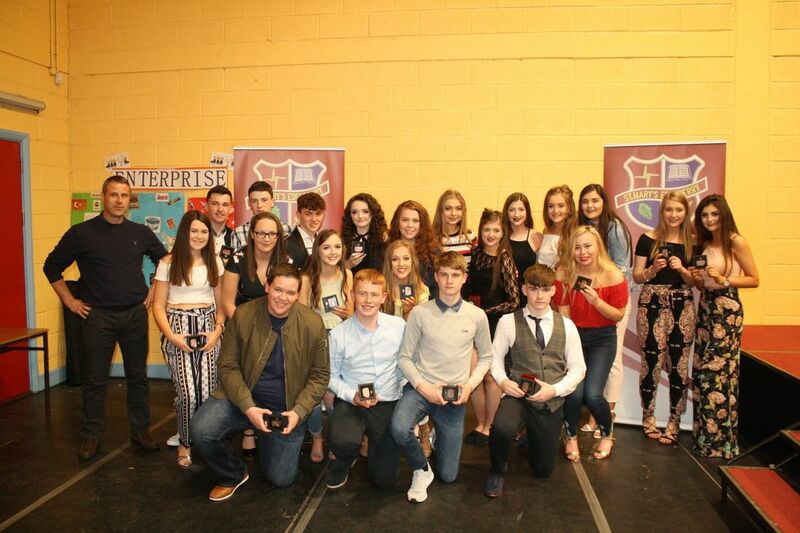 Congratulations to Alex Mazur, Maeve Cole and Emily Lawton who were awarded Student of the Year in TY and to all the other TY students who received various awards on the night. Great fun and sport was had by all today 12th May when we had for the first time in many years a Sports Day. 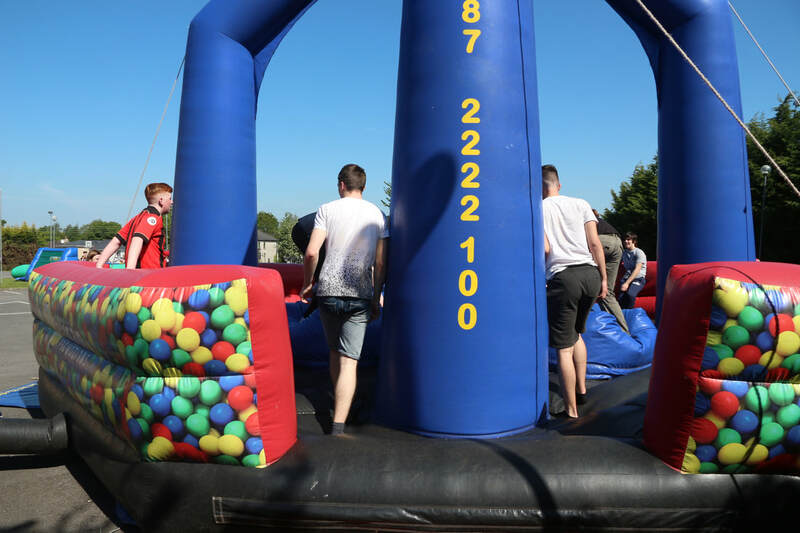 A big thank you to Mr. O'Connor and the Students Council who worked tirelessly over the past few weeks to organise a brilliant day for all the students. Congratulations to all the winners and well done to all who took part. A big THANK YOU to all in Derry Rovers for letting us use your fantastic facilities in Brian Park and to the Parents Association for providing all with food and beverages on the day. Tuesday 4th April was an historic day for St. Mary's as our Junior Girls Rugby team won the Leinster 7's Junior Rugby Championship. 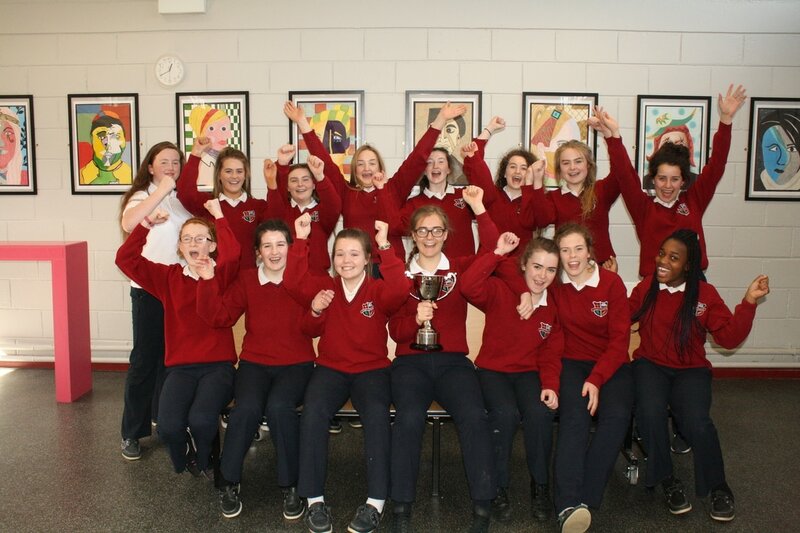 Rugby was only introduced into St. Mary's this year and for the girls to win the Leinster title first time around is indeed a marvelous achievement. The ​team played their first round of the tournament in Mullingar RFC playing four other teams. Unfortunately the results didn’t go the way they wanted but they made a powerful come back when they won all of their matches in Tullamore RFC a week later. The girls made it through to the Leinster Final in Donnybrook Stadium last Tuesday 4th April. After winning their first few matches, they were in strong position going in to the final match against Tullow. It was a tough game with two very strong sides contesting the final. It was all square coming up to the final whistle but the never say die attitude of the team won through in the end, with the girls scoring an unbelievable try to win it outright, 3 tries to 2. 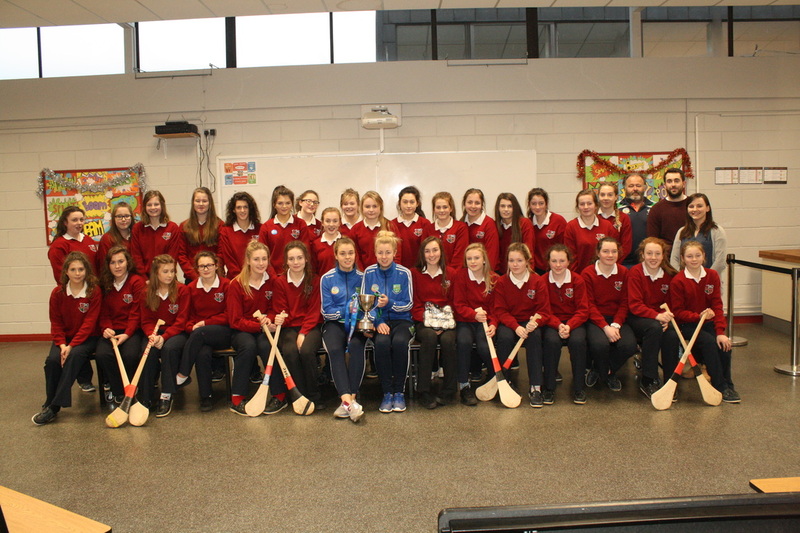 The Leinster branch presented the girls with their medals and a beautiful trophy to take back to Edenderry. 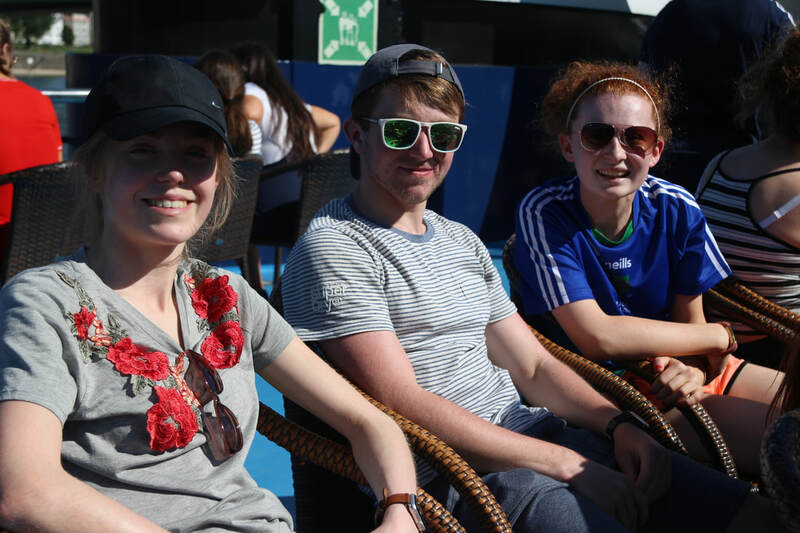 Without their coaches, Grainne Vaugh and Patsy Gorman and their two biggest supporters, Mr. Keith Ellis and Mr. Denis Byrne they wouldn’t have been able to do it, so many thanks to them. Many of the girls will be senior next year and we look forward to building on an incredible foundation following their success. Hopefully this will be the start of many more to come! 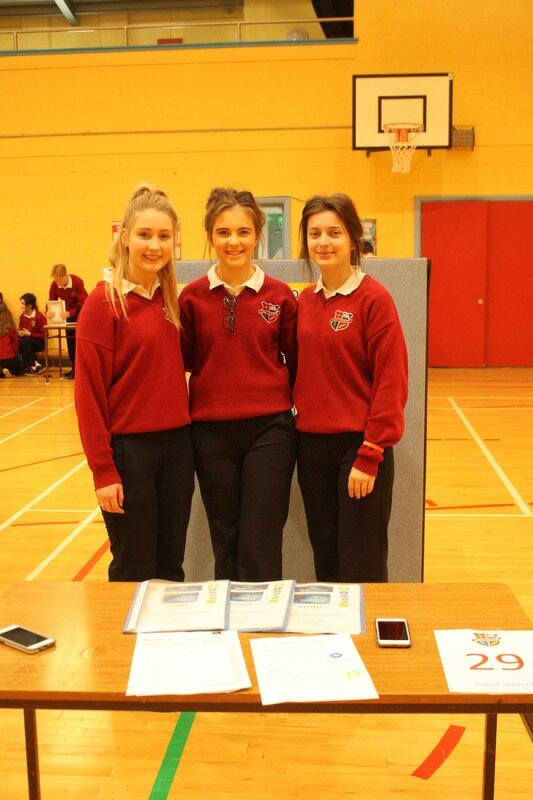 Wellbeing week was held was held in St. Mary's recently to promote positive mental health and wellbeing. Organised by the Students Council, the week was a great success with guest speakers Dr. Brian Carson and Niall McNamee giving very interesting talks to the students. 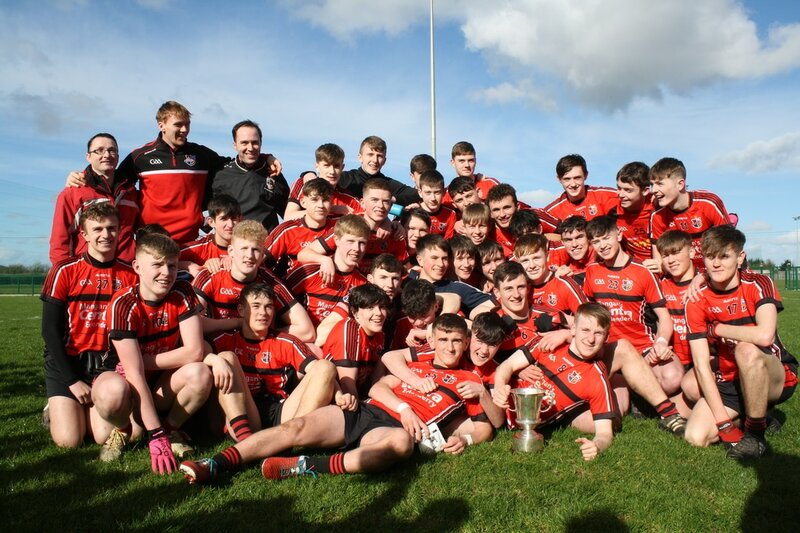 u16's crowned leinster champions once again. 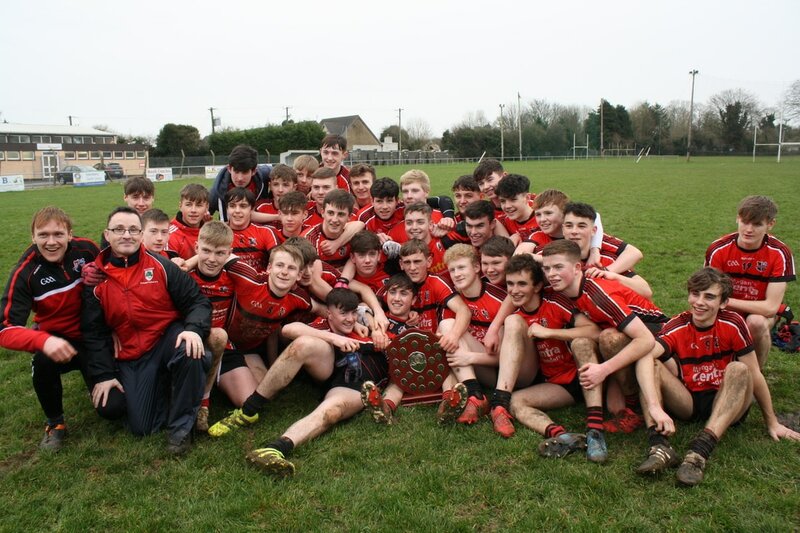 For the second year running St. Mary's U16 footballers have been crowned Leinster Champions in the A Championship. 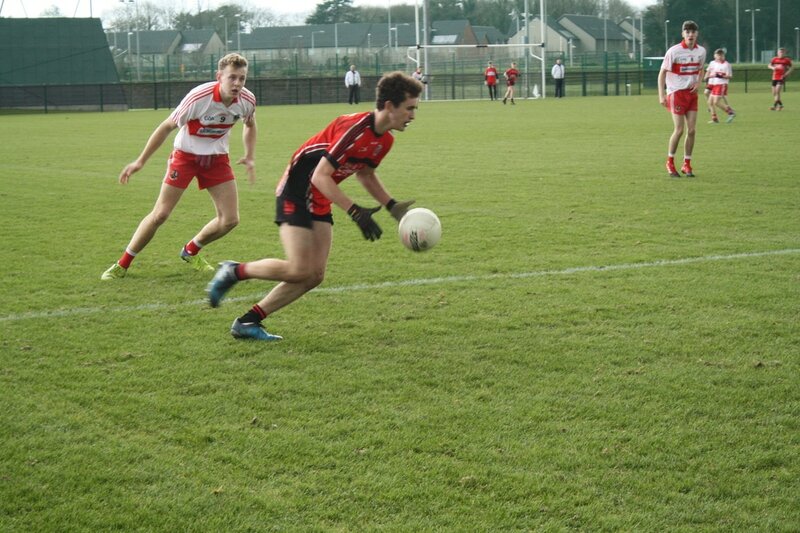 They beat CBS Naas on a scoreline of 2-14 to 1-5 in a one sided affair in Newbridge yesterday 8th March. With the aid of a stiff breeze, St. Mary's got off to a flying start and never looked in danger for the rest of the match. 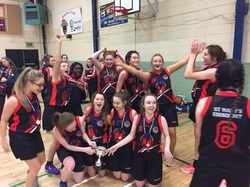 St. Mary's have achieved a unique record this year by retaining both the U14 and U16 Leinster titles. 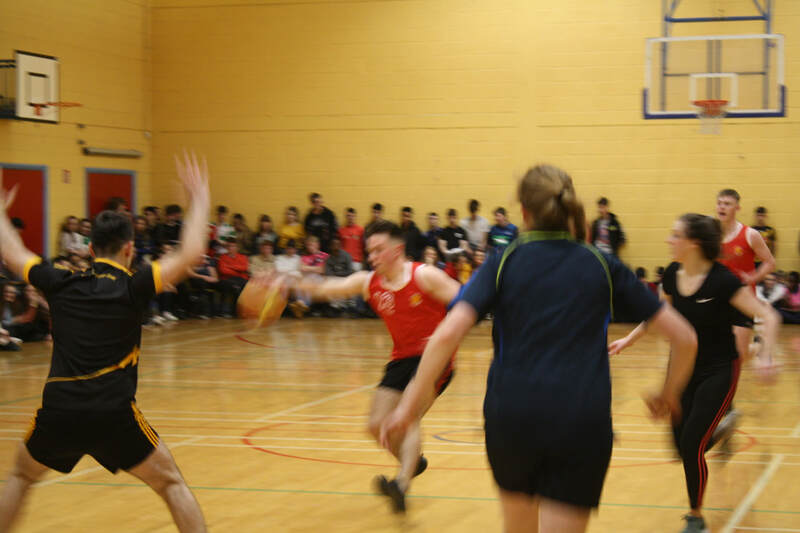 Well done to all the teams and mentors Mr. McDonnell, Mr. Cribbin, (U16) and Mr. Costello and Mr. Holton (U14). The All-Ireland semi-final will be on this Sunday 12th March against St. Pat's of Maghera - Venue - St. Colman's Newry at 3pm. Please come and support the team. u16 footballers through to leinster final. The Under 16 Boys Footballers had a great win on Wednesday 15th February when they defeated Colaiste Aodhain by 3 points in the Leinster Semi-Final at Abbotstown Dublin. St. Mary's controlled the game throughout and never looked to be in danger of being defeated. They now face Naas CBS in the Leinster Final - date and venue to be confirmed. 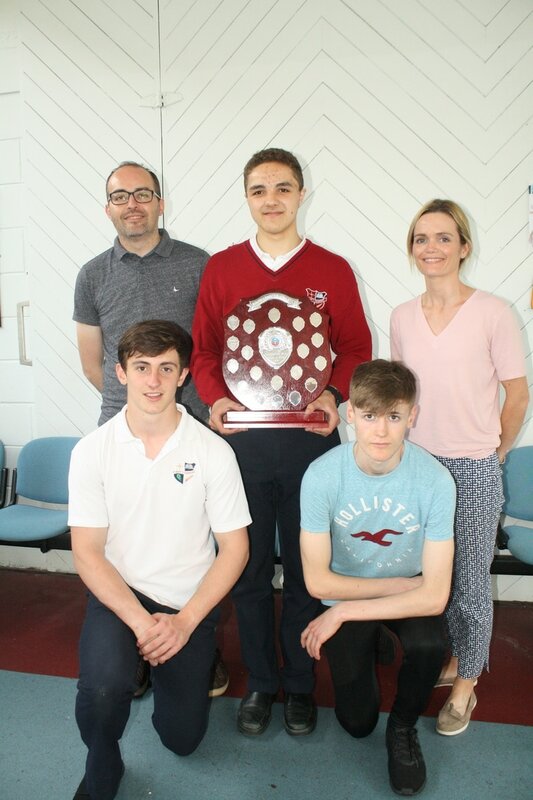 Congratulations to our Under 16 Boys footballers who retained their North Leinster Crown last Friday in a very close contest against Marists College Athlone. St. Mary's won on a score line of 2-7 to 2-6. The team showed great grit and determination to over-come a very determined Marists side. The team now go on to face St. Aidan's from Dublin in the Leinster Semi -Final next Wednesday 15th February at 3 pm in Abbotstown. Please come along and support the team. 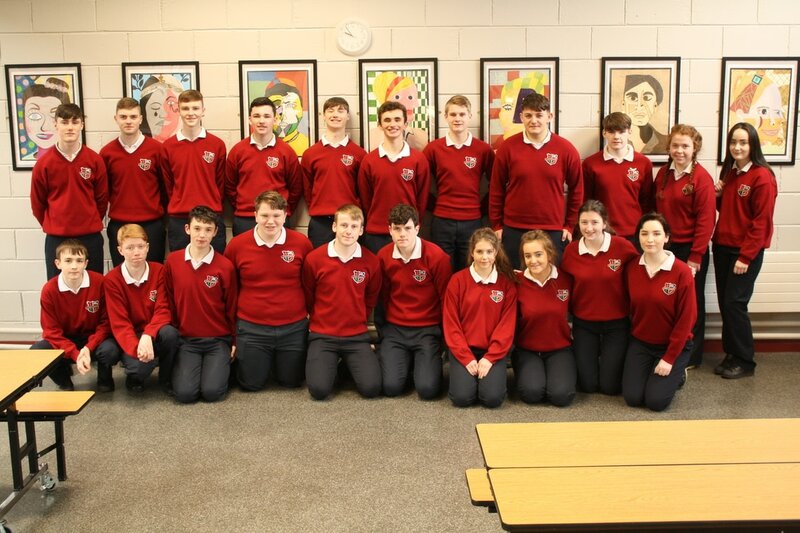 Congratulations to the TY A class in transition year who are currently involved in the Amber Flag initiative. 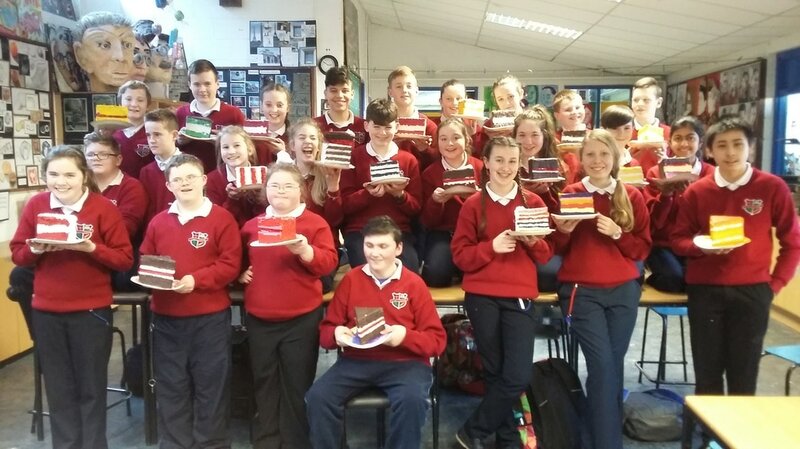 The Amber Flag project aims to promote positive mental health in Irish Secondary Schools. 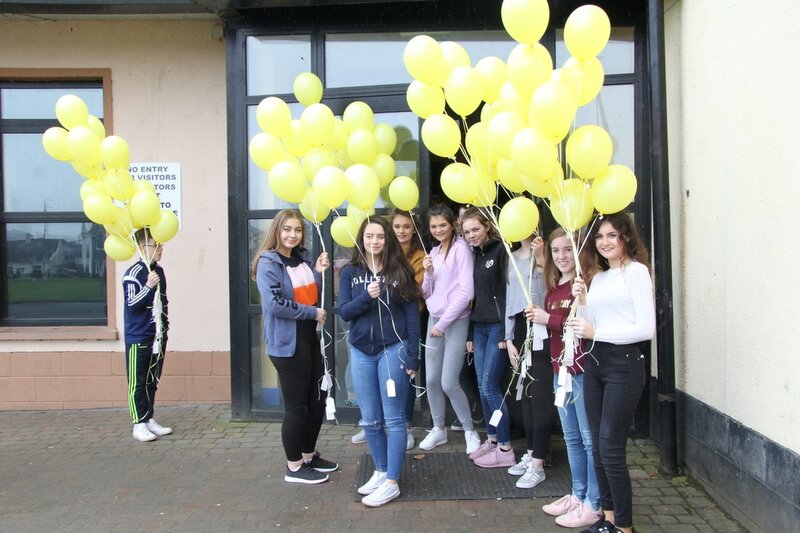 The students have organised a number of events in the school including talks on positive mental health and fund-raising for Jigsaw Offaly and Reachout. 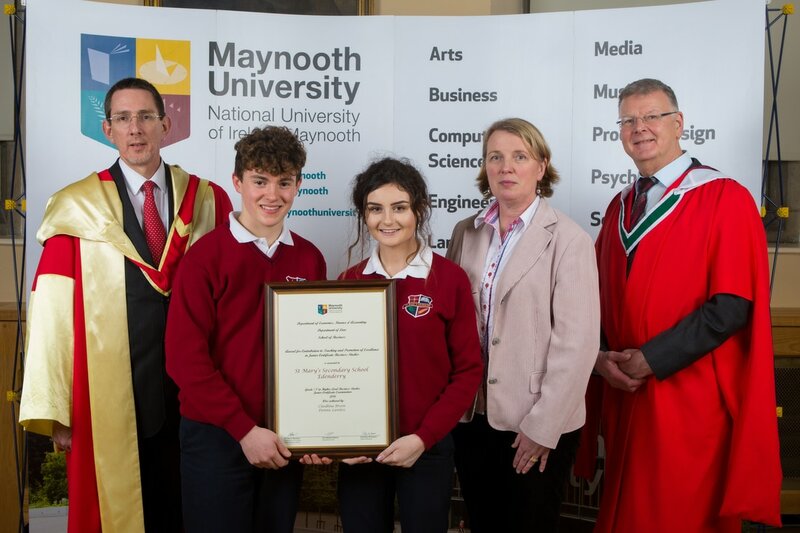 Congratulations to Cliodhna Breen and Denis Lawless who received a special award from the Department of Economics, Finance and Accounting in Maynooth University. The award is in recognition of their achievement in Business Studies in the Junior Certificate 2016. Both Cliodhna and Denis obtained an A in Junior Cert Business. 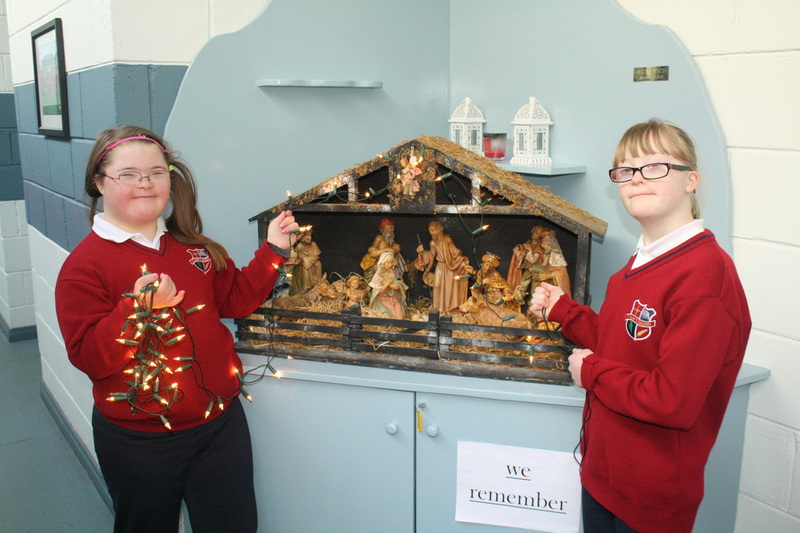 Well done to Cliodhna and Denis and their teachers - Ms. Coughlan and Ms. Griffin. 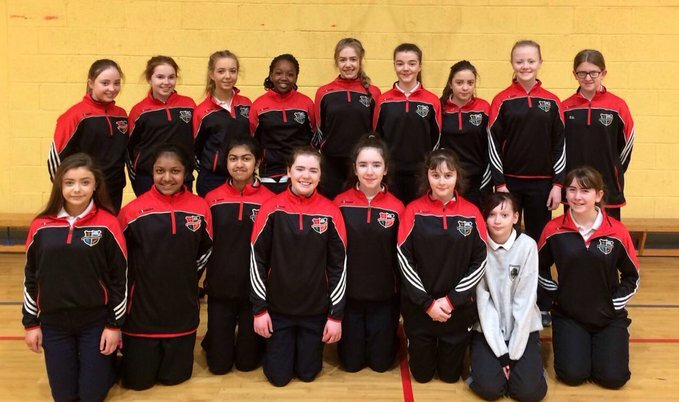 ​Thirty first year students from St. Mary’s Secondary School took part in their first indoor track and field competition on Friday 14th of December at the indoor track in Athlone IT. Students were encouraged to participate regardless of previous experience with athletics. The school had fantastic success on the day where all students had to compete in the shot putt, long jump, 200 metre and 600 metre events. 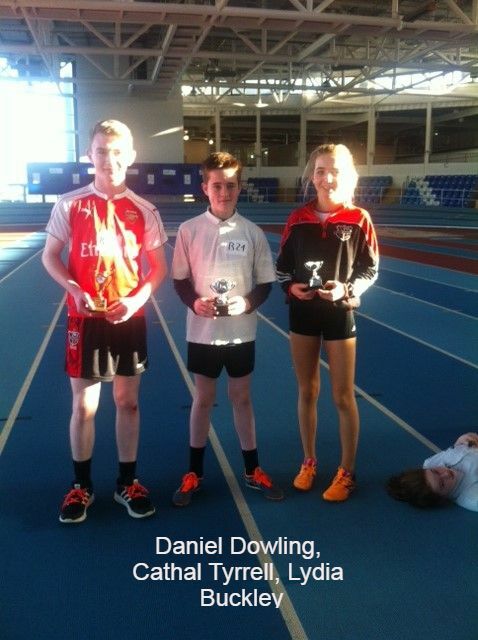 Daniel Dowling excelled in every event to claim gold, followed closely by the talented Cathal Tyrell in second place. 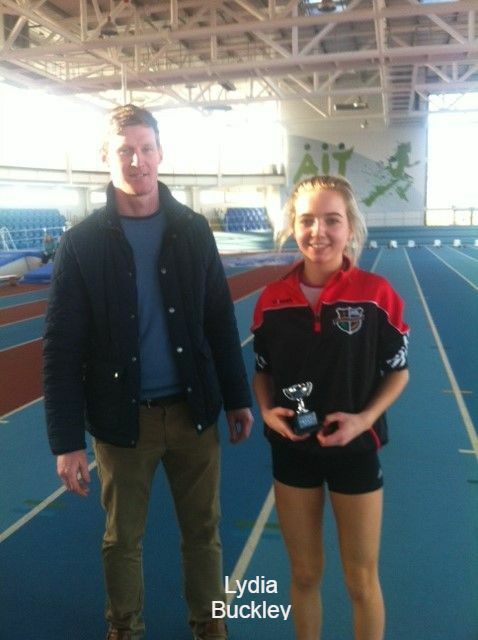 Lydia Buckley’s sterling efforts on the track bagged her the bronze medal in the overall girls event. All students performed tremendously well and thoroughly enjoyed their day. 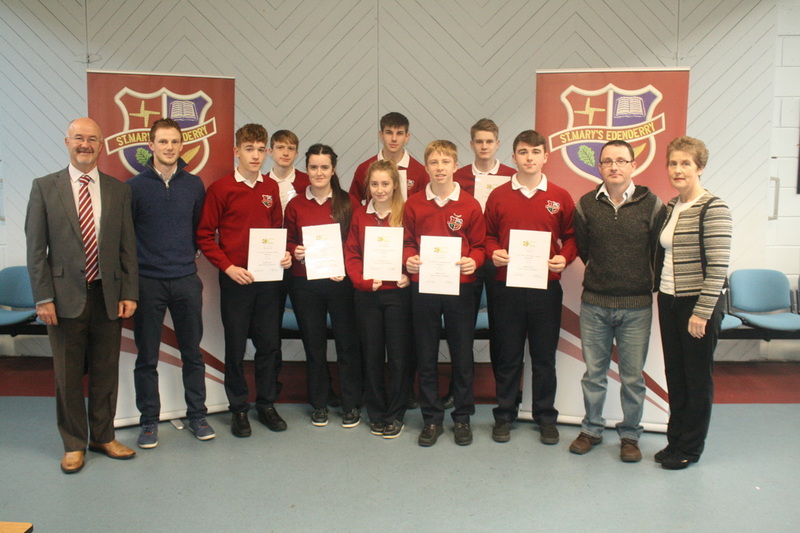 The school is looking forward to entering students in the Leinster schools cross country championships after Christmas. 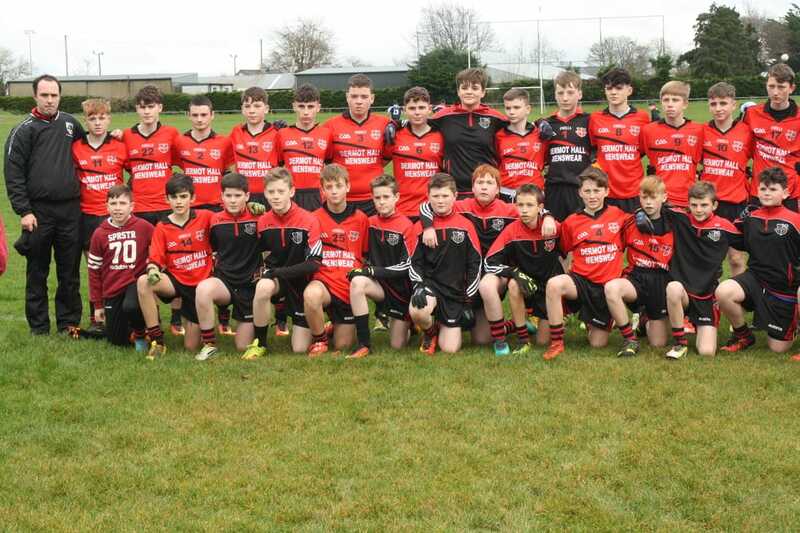 Congratulations to our Under 14 Boys Footballers who beat Rochfordbridge yesterday Dec.15th in the North Leinster Football Final. The team showed great fight and determination coming from 5 points down to get an injury time winning point to win the game. Well done to the team and their mentor Mr. Costello. They are now through to the Leinster semi-final where they will be playing St. Kieran's of Kilkenny. Best of luck lads. 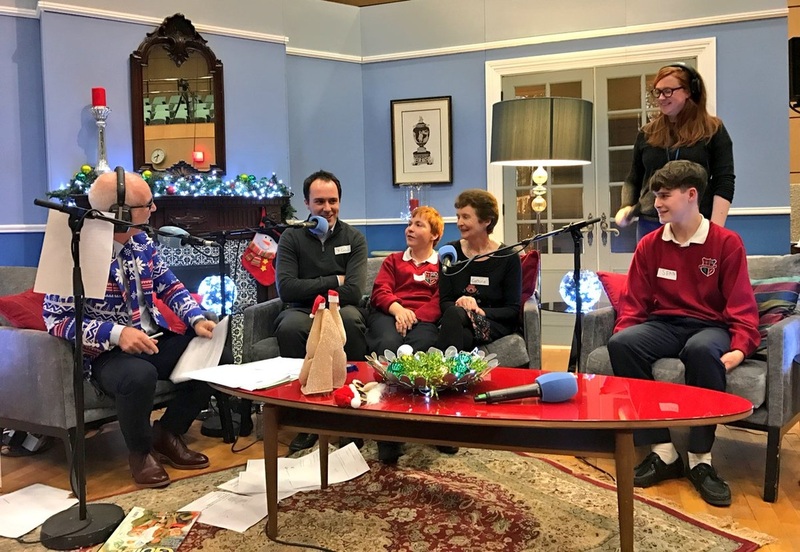 Thursday 8th December was a special day for St. Mary's when one of our teachers, Mr. Costello and the U14 football team were honoured on national radio. The team and Mr. Costello thought they were going to visit RTE for a tour of the studios when in fact they were being brought in to receive an award for what they have done for one of our students - Jamie Cooney. The Ray D'Arcy show ran a competition asking listners to nominate someone they would like to thank. Jamie's mam Catriona wrote into the show wishing to thank Mr. Costello and the U14 football team for including Jamie on the U14 team. In her letter she explained how important being part of a team meant to Jamie and how welcoming Mr. Costello and the boys have been to Jamie. ​All in St. Mary's are so proud of Mr. Costello and the U14 team. Well done to all. Click on the link below to hear the full story. 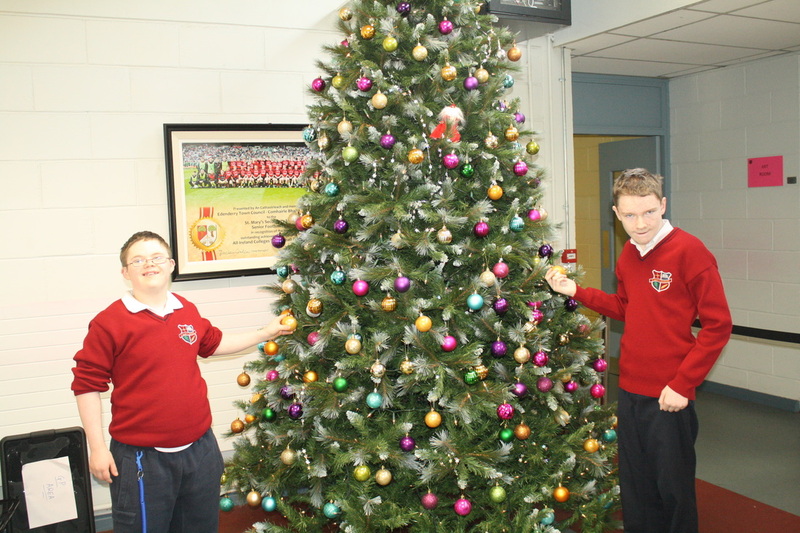 Some of our 1st Year students were very busy today decorating the school for the festive season. Well done to all involved - the school looks amazing thanks to you. 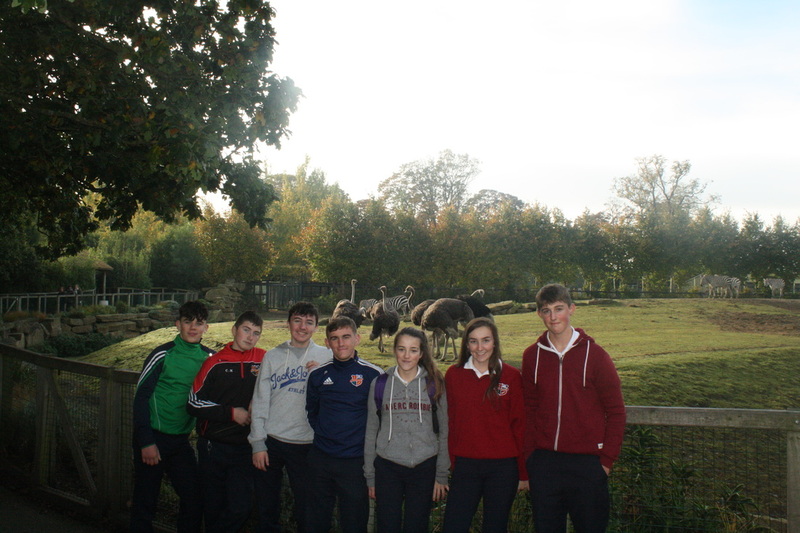 On Friday October 21st 3rd Year students from Tara and Cong, along with their teachers, Mr. Costello, Mr. O'Connor and Ms. Farrell took a trip to Dublin Zoo as part of their CSPE Action Project. During the visit the students leaned about caring for animals and about the work Dublin Zoo does for the preservation of endangered animals. 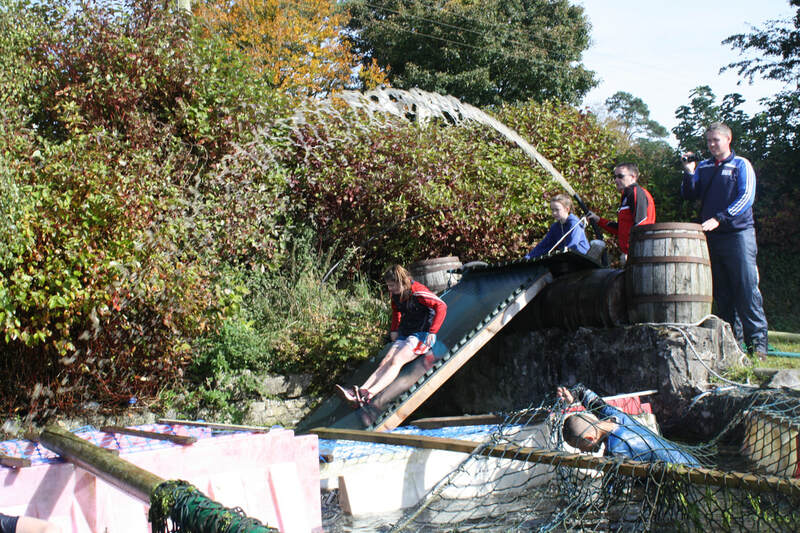 On Thursday 29th September the TY class from St. Mary's made a trip to Colaiste Acla in Achill for 3 days of fun and adventure all through Irish. 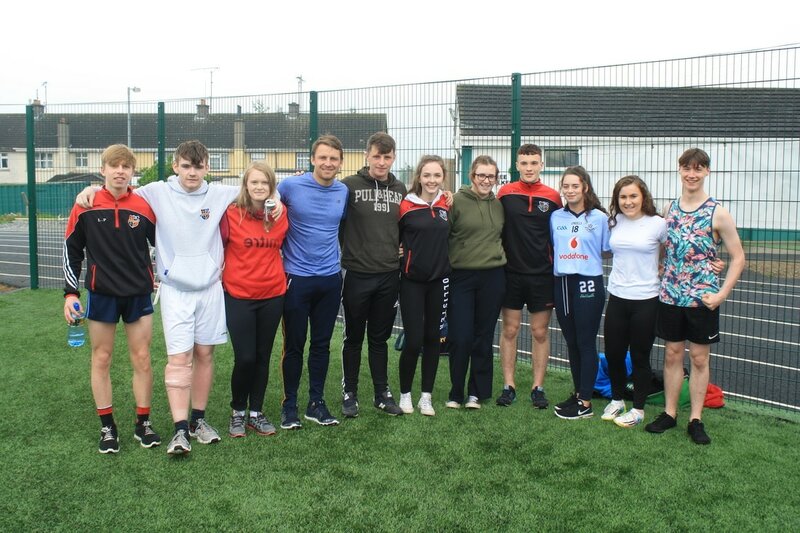 The TY class along with teachers- Ms. O'Sullivam, Ms. Heavey, Mr. McFadden and Mr. Rehill participated in all sorts of sports including surfing, cliff diving, bog hopping and hiking. The also participated in ceili's at night time. 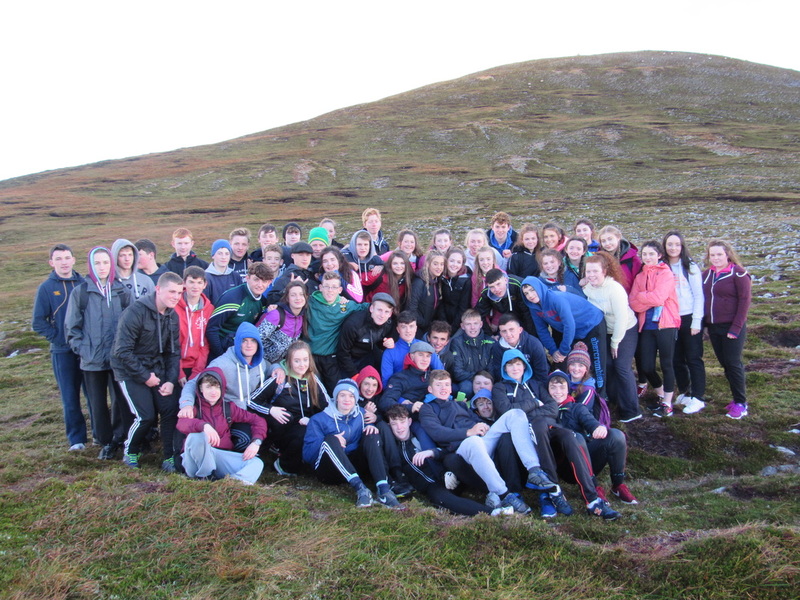 The group arrived back on Saturday afternoon tired and weary but with very fond memories of a memorable trip to Achill. St. Mary's Moves up sunday times table. 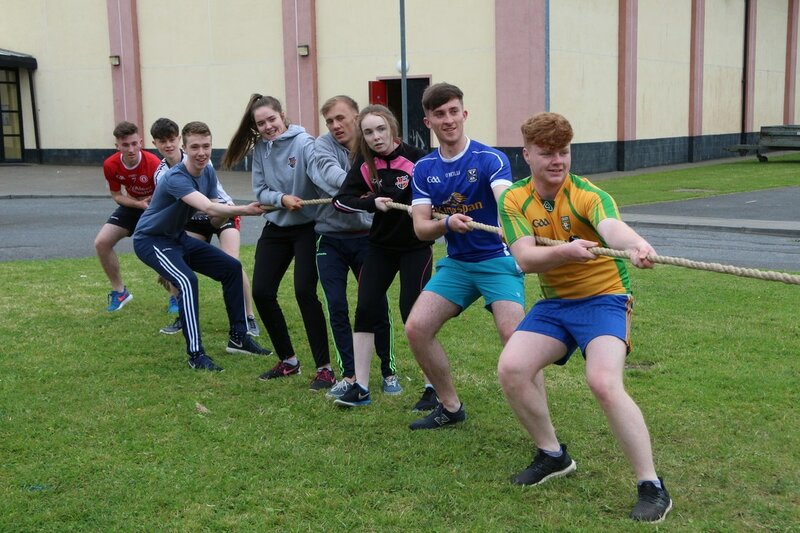 ​With the attention of the Leaving Certificate results fading and our students beginning life in 3rd level, working or travelling we cannot escape the positive impact that our leaving certificate students have had on the school. Recently the Sunday Times posted their School League Table which shows where schools across the country stand in relation to results and those attending 3rd level. This table shows that St. Mary's Secondary School Edenderry has rose 25 places and is again placed as Offaly's Number 1 Co- Educational school. This year 82% of the Leaving Certificate Class of 2016 have gone on to 3rd level education. Out of the 135 strong group there were seventeen who achieved over 500 points with one student getting 615 points while thirty two students got over 450 points. 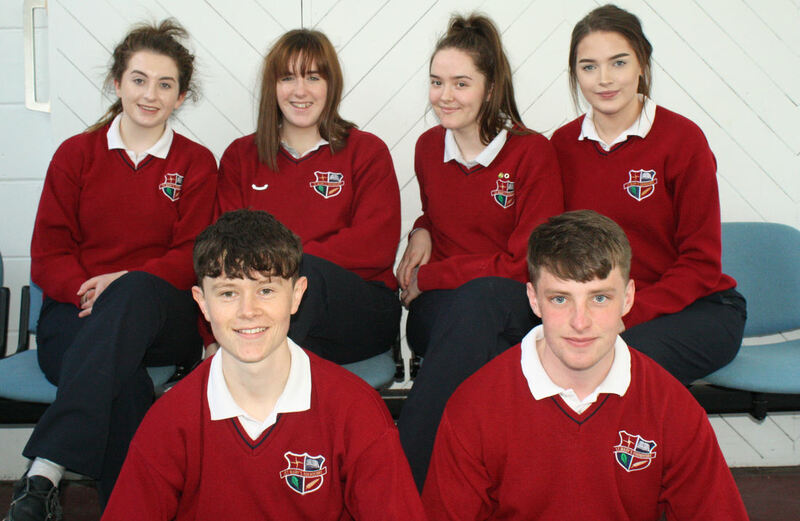 Well done to the 6th Year Year Book Committee who produced a wonderful book of photos and memories for the class of 2017. A lot of hard work and effort was put in by the committee to produce the book which will be a great keepsake for years to come. 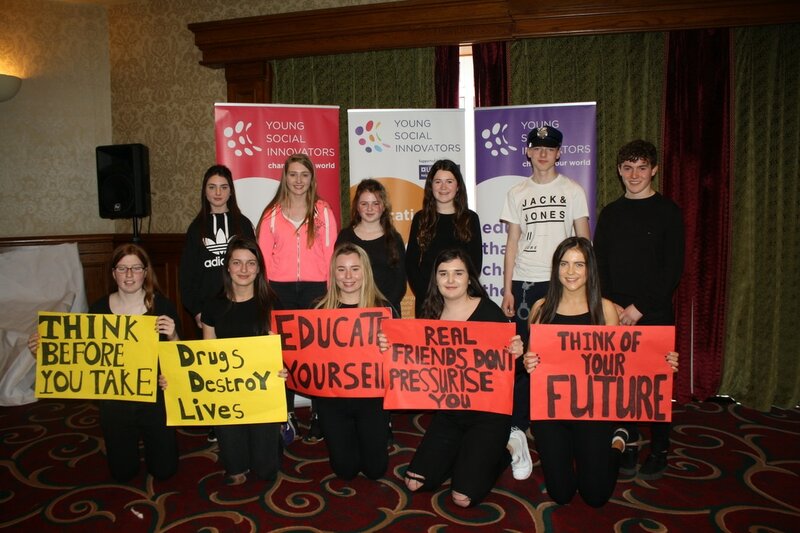 On Tuesday the 28th of March all of our Transition Year students travelled to the Hodson Bay Hotel Athlone for the Young Social Innovators Speak Out tour. Since September each of the TY classes were working on social issues they felt very strongly about and working on innovative ways to change these issues. 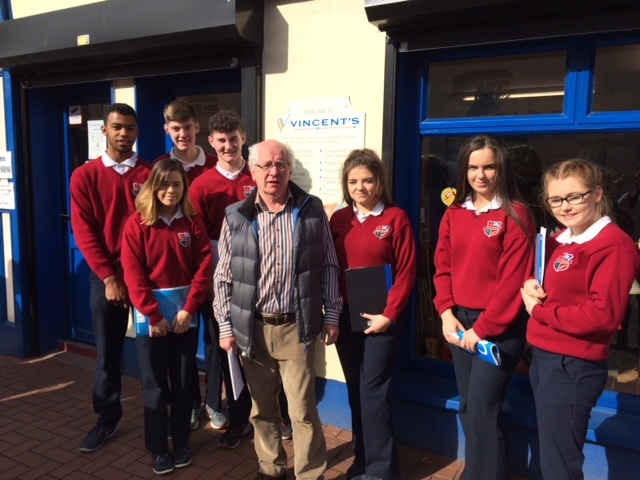 There were a number of issues addressed by our students including, “release” which targeted mental health issues, animal cruelty, facilities in Edenderry, physical exercise and finally the problem drugs and students. 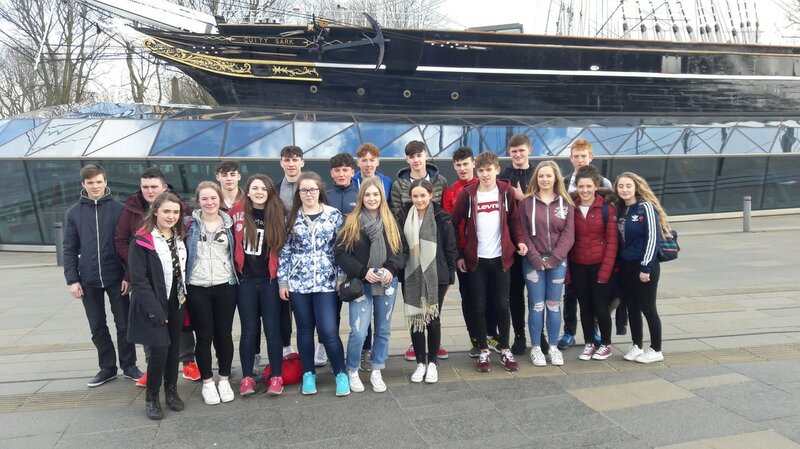 Twenty Chemistry and Physics students along with three teachers recently departed St. Mary’s Secondary School, on a Science trip to London. This was the first foreign Science trip from St. Mary's and hopefully not the last as all who traveled found it thoroughly enjoying and educational. To read more about the trip click on the link below. 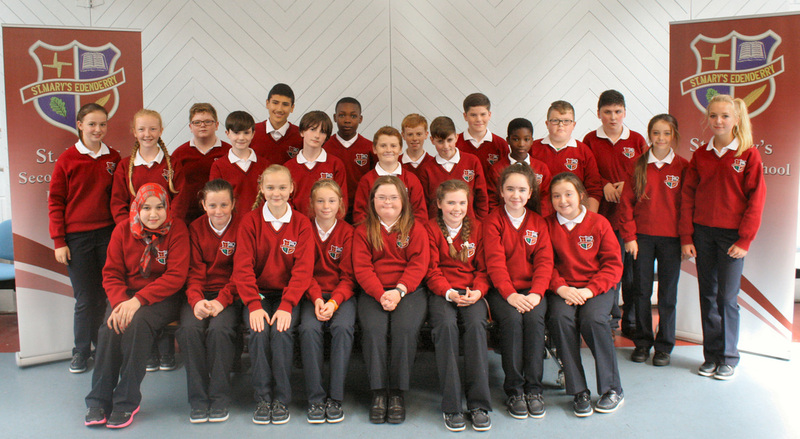 On Thusday 9th March a group of 3rd year students travelled with their teachers Ms. Brereton and Mr. Fitzgearld to visit Dail Eireann. 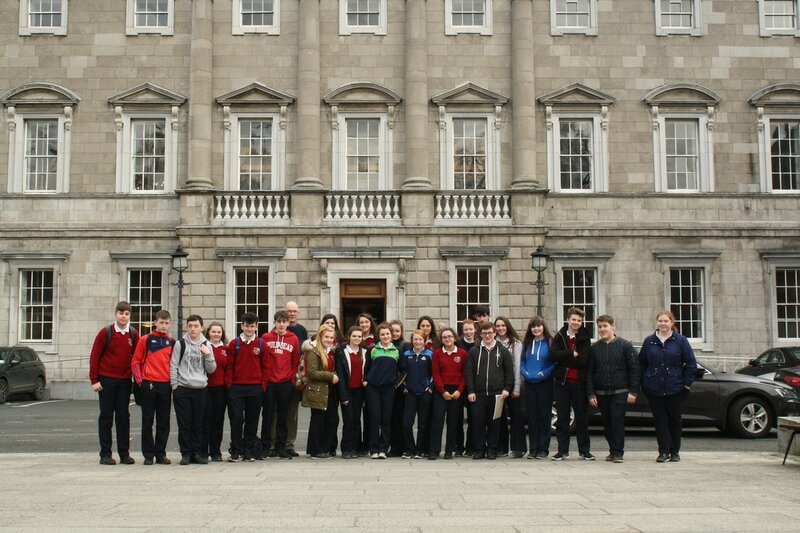 The students were given a tour of the Dail and Government Buildings and also got to view the Dail in progress. Perhaps we will have a few budding politicians amongst our students after the visit! Well done to the 1st Year Art classes who have produced a wonderful colourful display of sculptures with themes of "Funny Fish", "Monsters" and "Favourite Cakes"
5th year Leaving Certificate Chemistry students from St. Mary’s Secondary School Edenderry recently took part took part in the Royal Society of Chemistry Spectroscopy in a Suitcase Workshop. Spectroscopy in a Suitcase gives school students the chance to learn about spectroscopy through hands-on experience. As well as covering the principles of spectroscopic techniques, the activities use real-life contexts to demonstrate the applications of the techniques. The workshop was led by Dr John O’ Donoghue from the Royal Society of Chemistry and Trinity College Dublin. He was assisted by Post graduate students from Trinity College Dublin who presented the workshop to the students. During the course of the workshop the students got to use Analytical Instruments an Infra Red and an Ultra Violet Spectrometer to complete a chemistry forensics workshop with the students. The students were able to determine the results from the chemistry forensic workshop from the data they received from using the instruments. Each student got the opportunity to use the professional analytical devices and it is hoped that the workshop will be highly valuable to Leaving Certificate Chemistry students. The workshops which have a strong emphasis on encouraging school pupils to consider studying chemistry and also highlight the career opportunities available with chemistry qualifications. 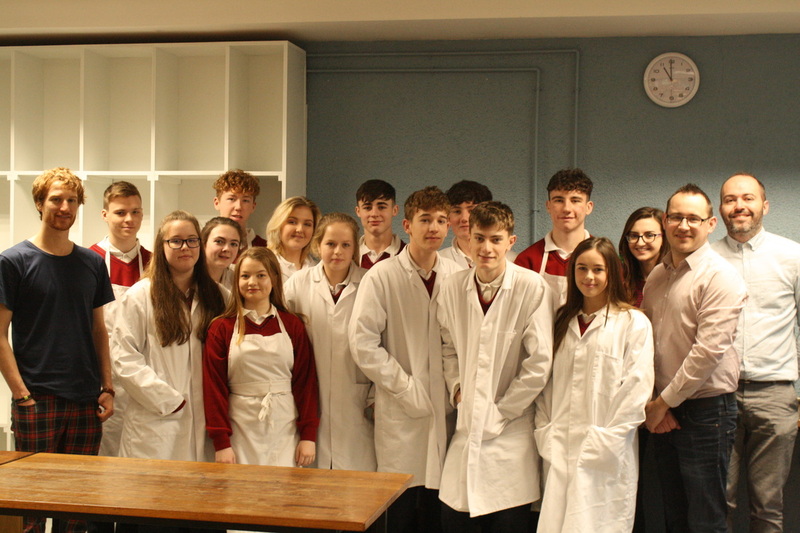 This is the second year that the school has participated in the Spectroscopy in a Suitcase workshop and it is hoped that it will encourage students who take Chemistry as an option subject to see that there are many different aspects to the world of Chemistry. 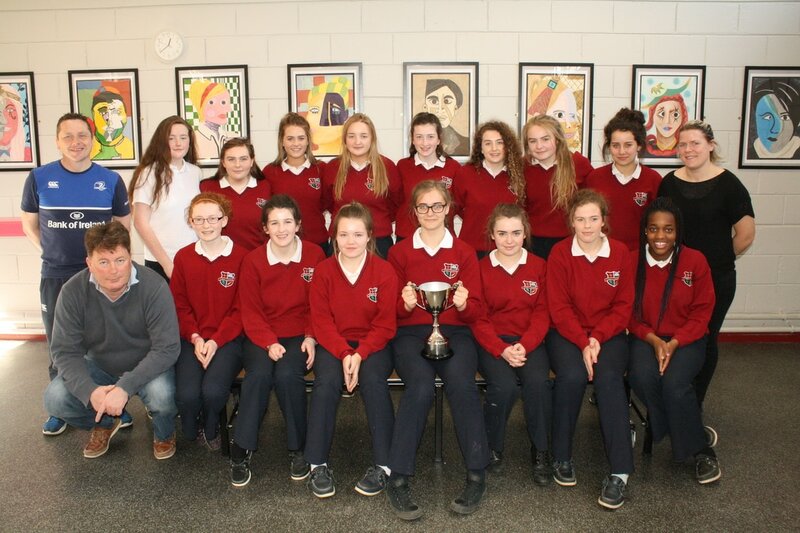 The All-ireland Junior Camogie Champions, Johnstownbridge visited St. Mary's last week with the Phil McBride Cup which they won recently in their defeat over Scariff. 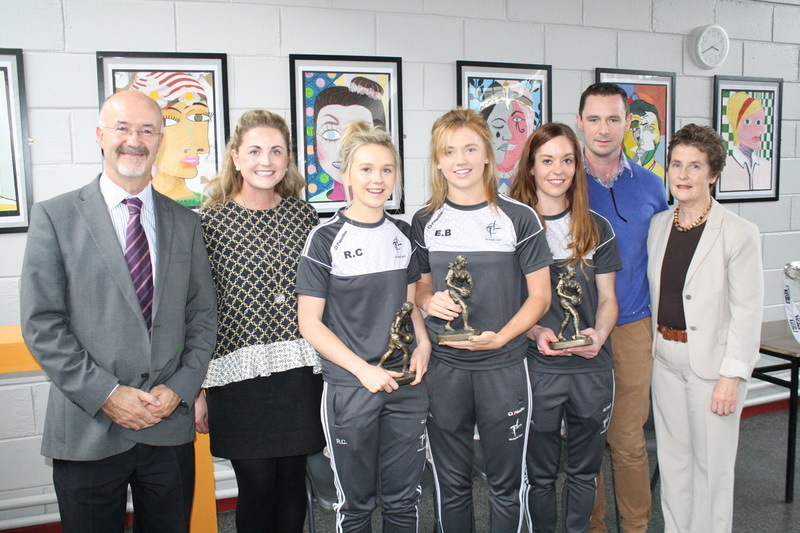 Team captain Jenna Murphy and Emma Farrell along with John and Roberta Farrell were welcomed to the school by Mr. Halford who congratulated them on their great success. This was Johnstownbridge's secon year in a row to win the Junior Final. Congratulations to all who were involved from St. Mary's. 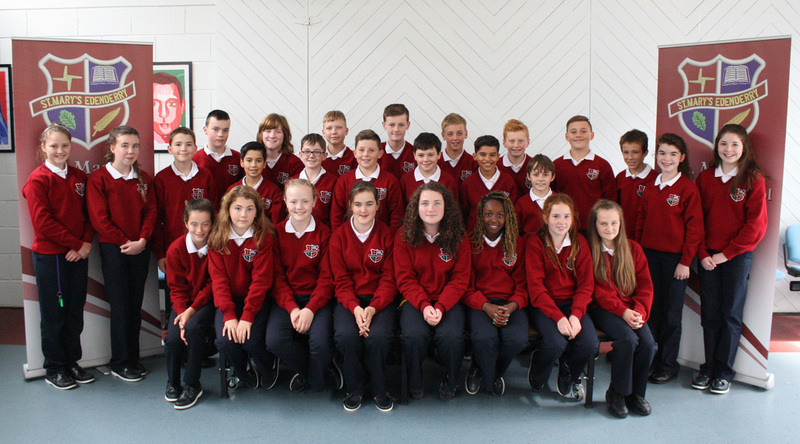 Congratulations to our Junior Choir who were awarded 1st place in the Drogheda Choral Festival held in the Barbican Theatre on November 25th. This was only their second time to compete having competed last year in the Navan Choral Festival. For their winning performance they sang Gershwin's "Clap Yo Hands" and Enya's "Orinoco Flow". The senior choir also competed on the day singing past pupil Liam Lawton's "Kyrie" and The Foggy Dew.They were highly commended by the judges with their comment sheet saying they will be professional one day. ​Well done to both choirs and to Ms. McEntee. Both choirs are busy preparing for their up-coming Christmas performances. 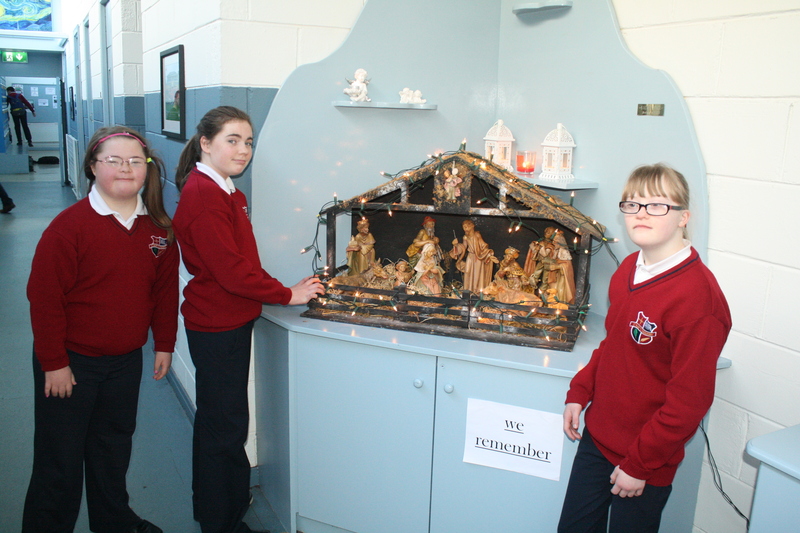 On Thursday evening 24th November, St. Mary's opened its doors to 6th class pupils from our feeder schools to give them a flavour of life in St. Mary's. A hugh number of students came along to view the many subjects and activities that are on offer in St. Mary's. Thank you to all who came along and we hope to see you all in the new year. 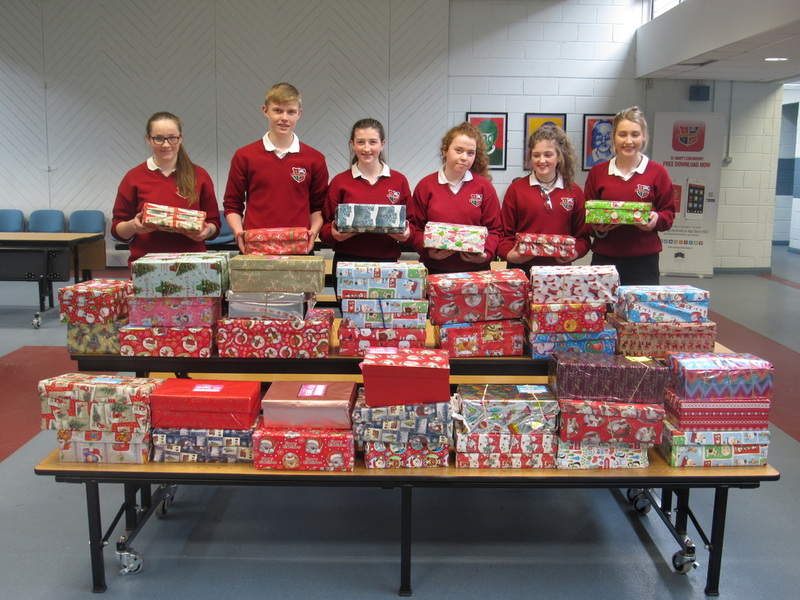 ​Congratulations to TY students who have been busy for the past the few weeks coordinating the annual Team Hope Christmas Shoe Box Appeal. The aim of the appeal is to provide a glimmer of hope and happiness to children in Africa at Christmas time. Well done to the TY students for coordinating the project and a big Thank You to all students who brought in a box. ​Congratulations to all the winners in the fancy dress competition held in the school on Friday 28th October. 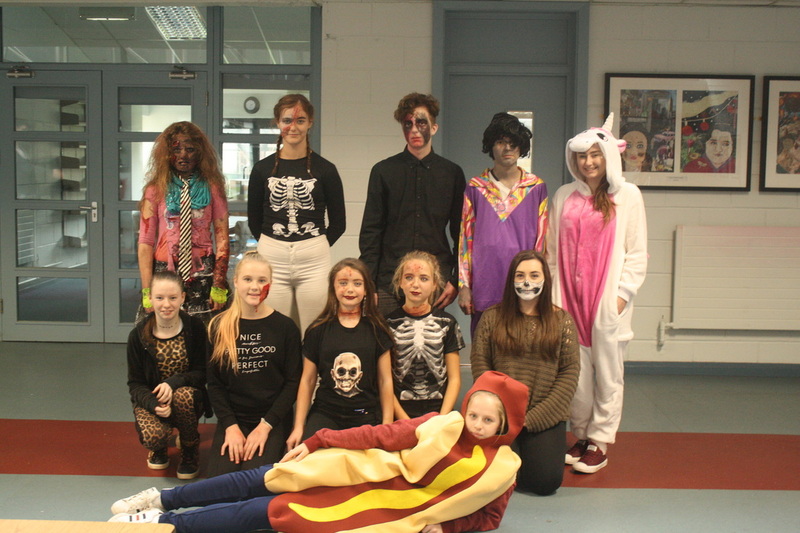 There were some extremely frightening and ugly zombies roaming the corridors of St,. Mary's throughout the day. Well done to all who made the effort and thanks to the prefects who organised the event. ​Last Tuesday the 11th of October, 66 of our TYs headed on a YSI trip to Zeminar in the RDS. Zeminar is a new social enterprise created to bring all those interested in the development and well-being of young people in Ireland together. 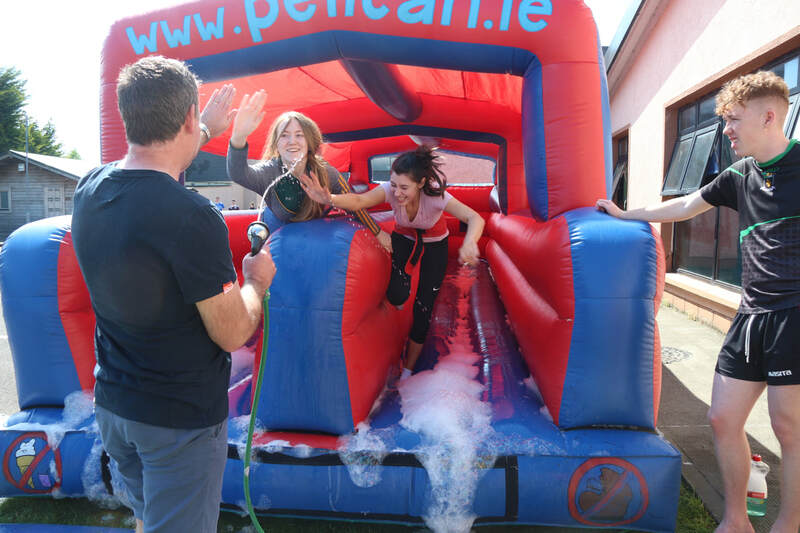 Zeminar is an event for Generation Z, particularly those aged between 15 and 20, and their parents, teachers, mentors and coaches. We interacted with various Irish youth organisations and we attended the talks of various influential speakers such as Johnny Cooper, Ciaran Duffy and Fr Peter McVerry. We have all benefited from this experience and it has shaped our YSI action project. There was great excitement in St. Mary's last Friday afternoon (October 7th) when 3 former pupils - Ashling Holton, Erica Burke and Rachel Cribbon returned to school with the All-Ireland Imtermediate Cup which they had won with Kildare 2 weeks ago. In an epic battle of skill and determination the Kildare Ladies fought off the challenge of the Clare Ladies to win by a solitary point. The girls were presented to all the various football teams in the school and all the students listened intently to what the girls had to say regarding participating in sports and representing your club and school. After the talks there was a presentation to the girls to mark their wonderful achievement. All in St. Mary's would like to congratulate the girls on their wonderful victory and thank them for taking the time to come visit us. 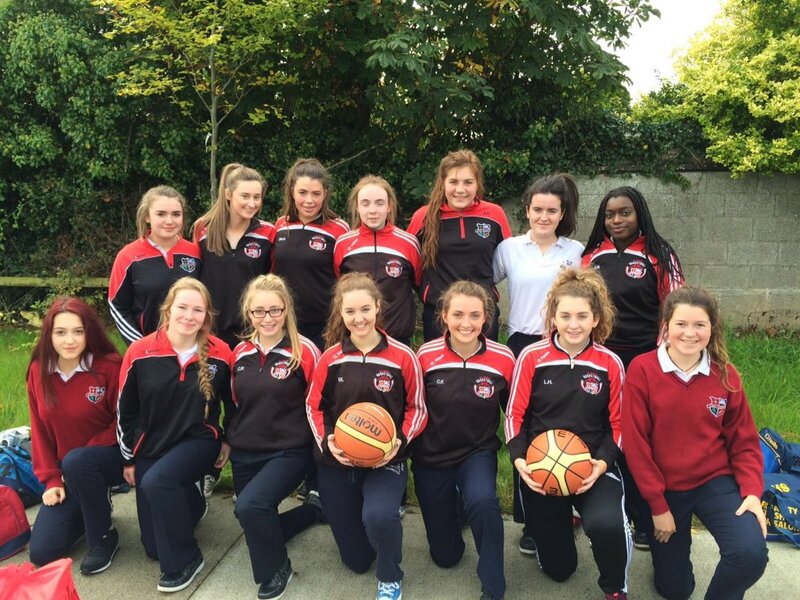 On Monday 26th of September the U19 Girls' Basketball team from St. Mary's Secondary School Edenderry travelled to Newbridge to play St. Conleth's Community College in the first game of the Midlands league. It was a very close, competitive game with both teams evenly matched. At half time St. Conleth's led by 3 points. The 3rd quarter saw some excellent offence from St. Mary's who regained the lead going into the last quarter. In what was a nail-biting finish St. Mary's came away with the victory on a scoreline of 32-31. St. Mary's will play Mercy Kilbeggin on Thursday 6th of October in game 2. 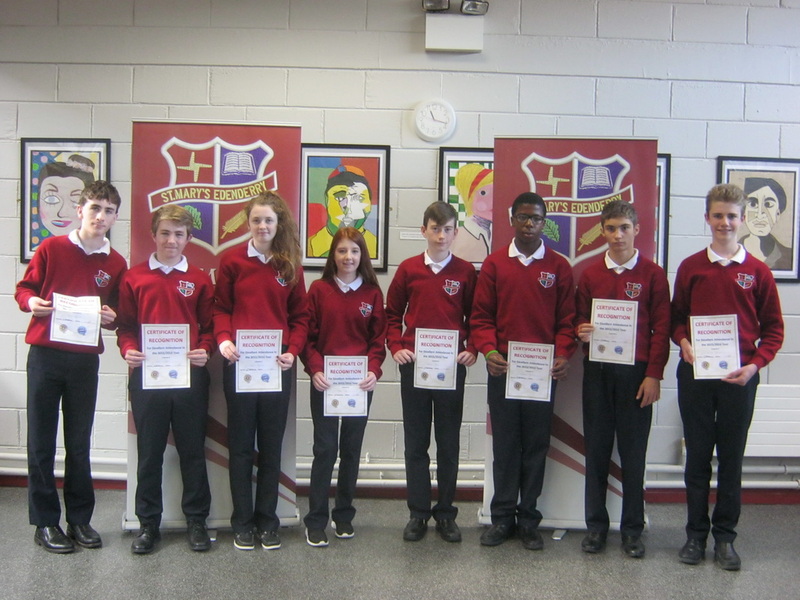 Congratulations to all students who received awards in our Awards Ceremony held in the school last week(Oct 11th). The awards recognize students' academic achievements, their effort made throughout the year, and their attendance. Last years' 1st, 2nd and 5th years took part in the ceremony. Well done to all who received an award. There will be another ceremony held shortly to recognize our Junior Cert. and Leaving Cert. students who achieved outstanding success in the state exams. 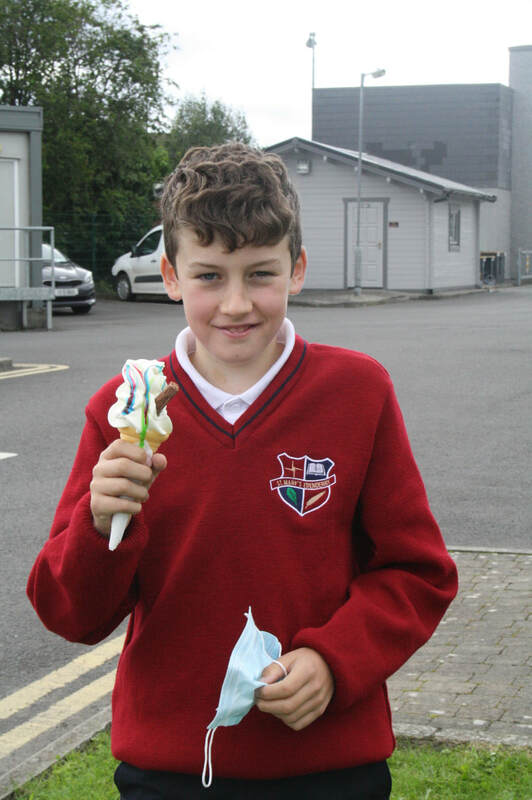 Well done to all students in St. Mary's who received their Junior Cert results on Wednesday 14th September. Once again the results were excellent and judging by the excitement around the school on Wednesday morning all students were delighted with their results. ​Congratulations to all and especially to Cliodhna Breen who achieved the remarkable result of 11 A's in Higher Level. 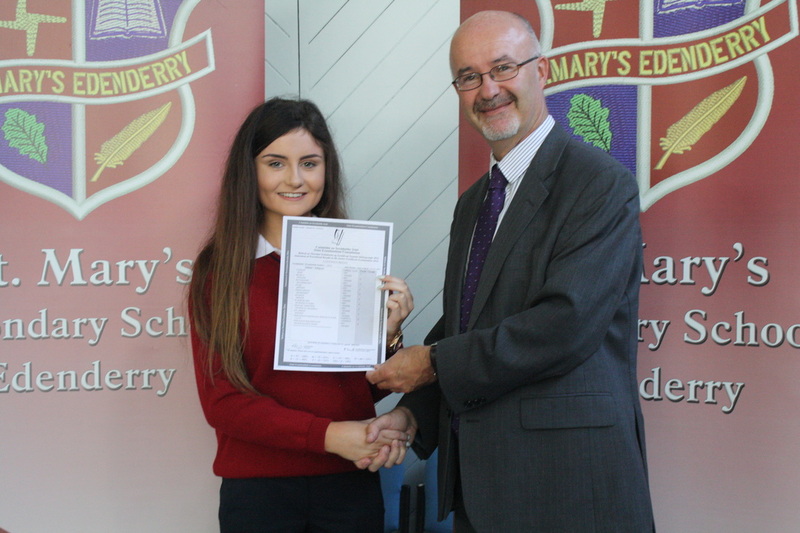 Pictured below is Cliodhna receiving her results from our Principal,Mr. Halford. 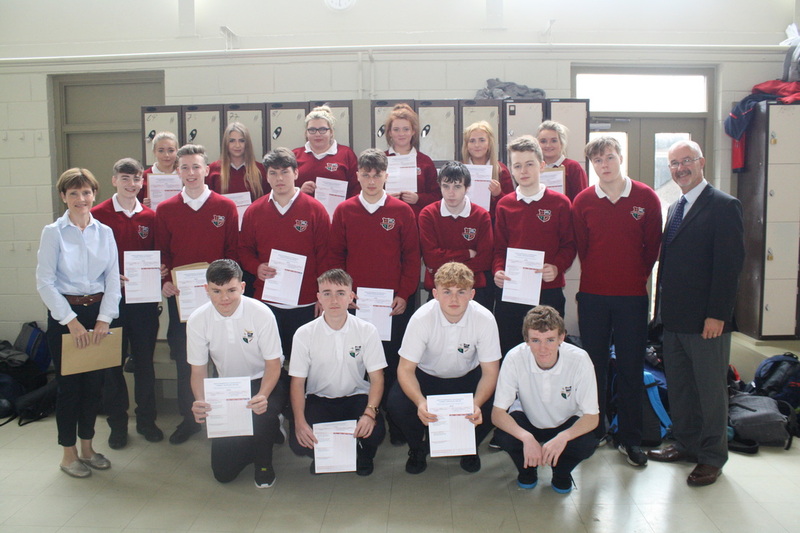 Congratulations to our 6th Year LCA students who received their credits today 12th September for Module 2 of LCA. The results were excellent with many of the students on course to achieve a distinction. Keep up the good work. 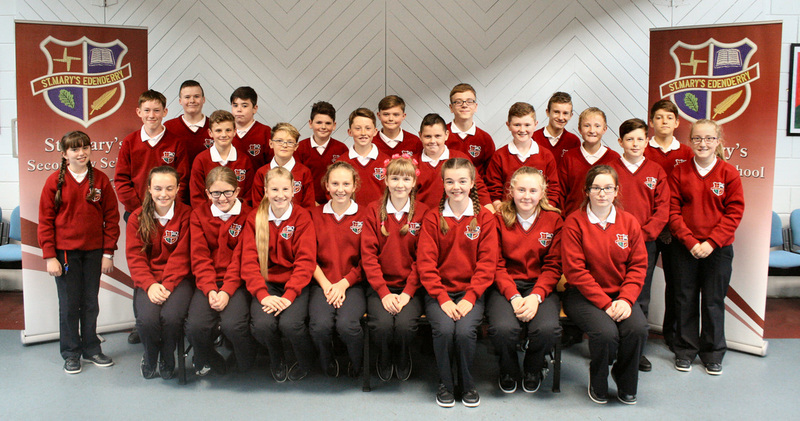 The management and staff of St. Mary's would like to extend a big welcome to all our new 1st Year students who begin the next part of their educational journey with us.